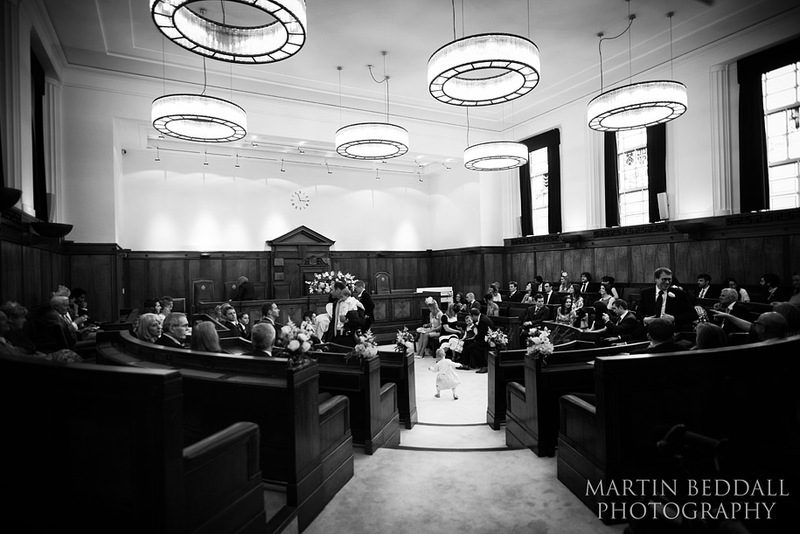 Bethnal Green town hall hotel – the venue for Katherine and Charlie’s wedding on a wet Good Friday. 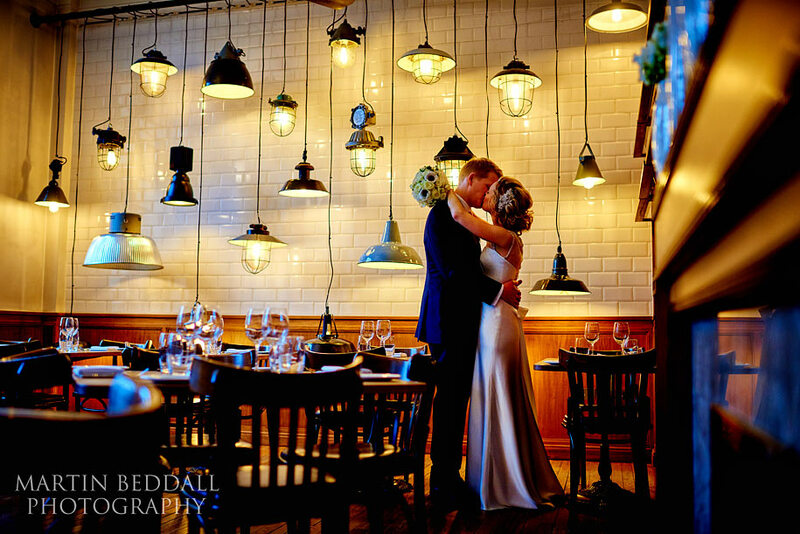 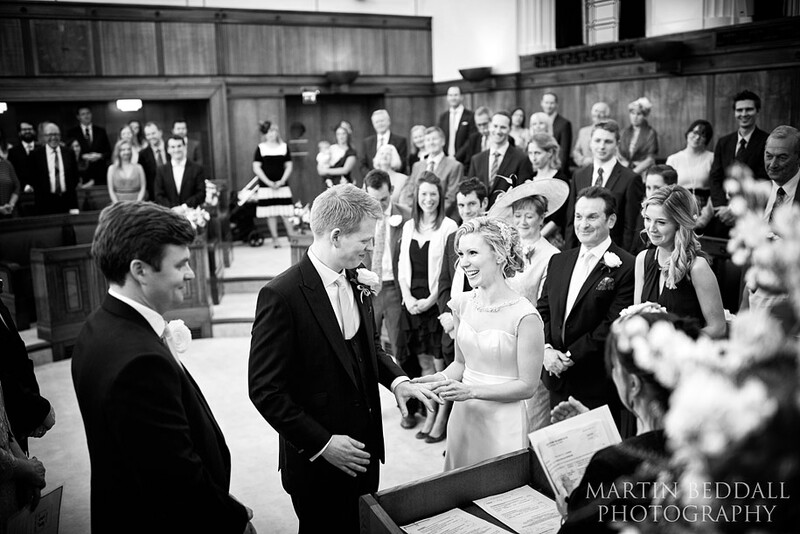 An East London wedding with a Northern theme. 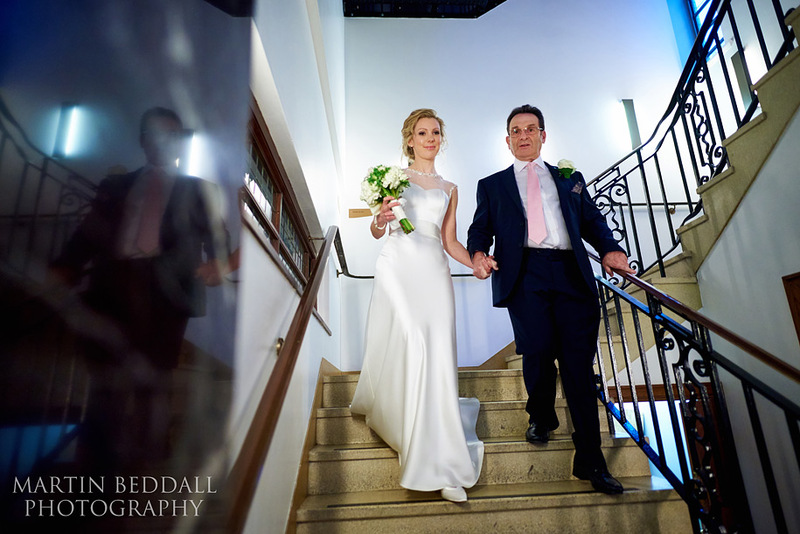 Real Northerners who support a real Northern football team 🙂 An indoor wedding, at the single venue. 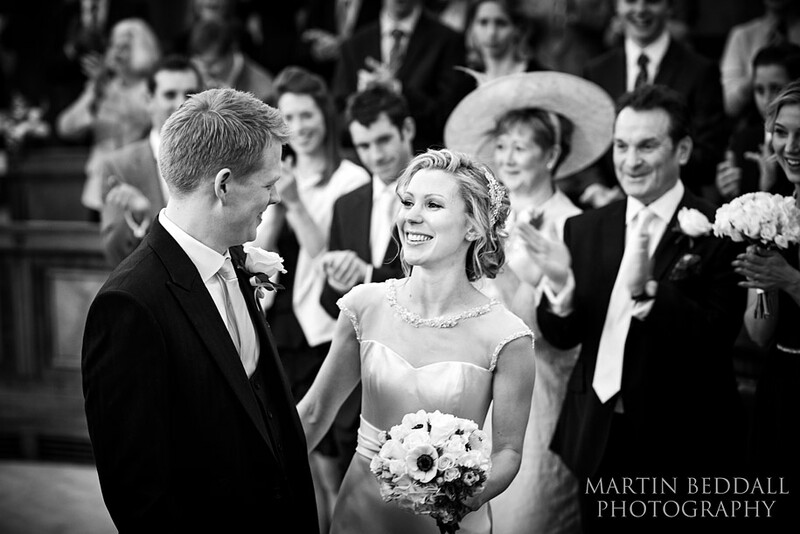 It was to be a good call in planning an April wedding, given the soggy weather. 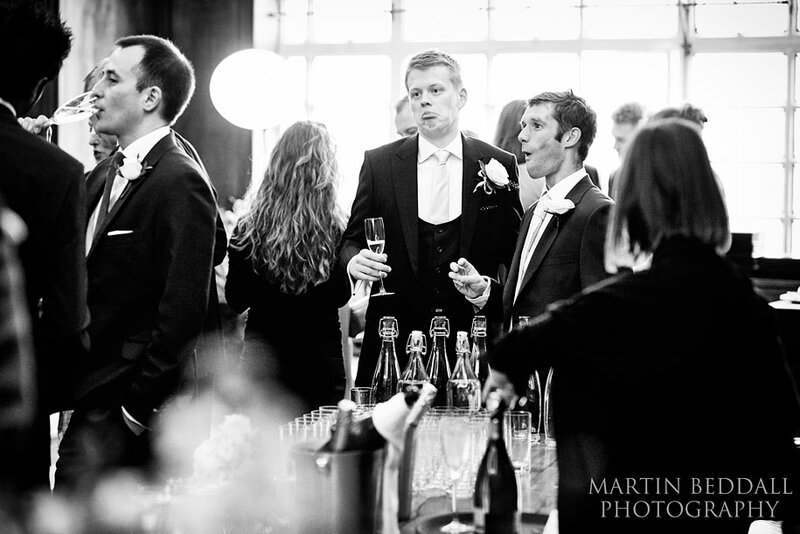 There would have been no drinks on the lawn and any marquee would have been a bit chilly. 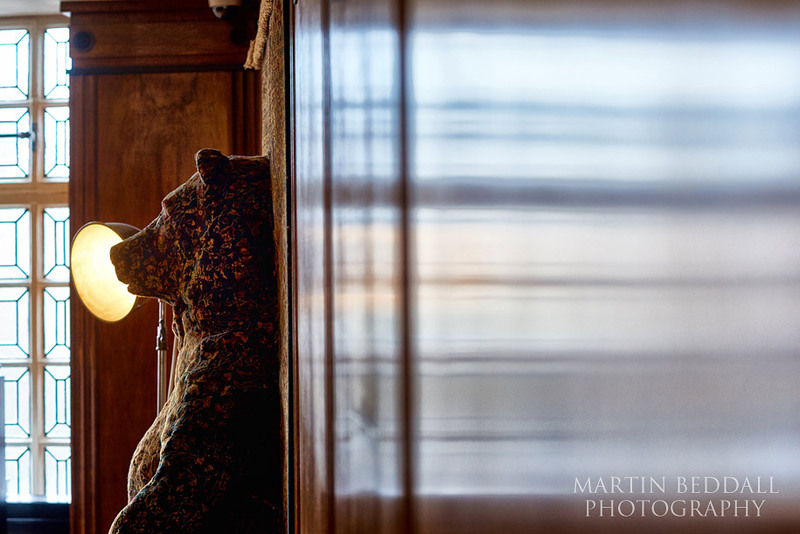 Spring had yet to ….spring. 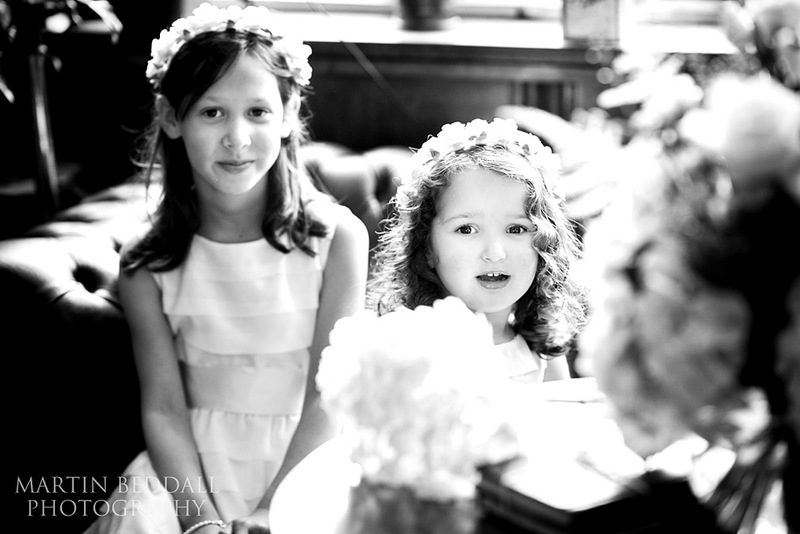 Easter was early this year. 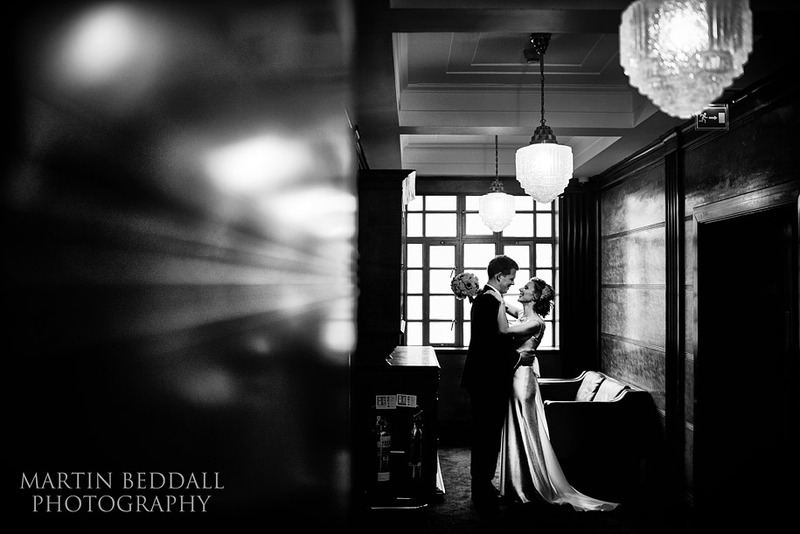 The east end town hall since Edwardian times with Art Deco interiors and marble staircases, it is now houses a luxurious hotel and apartments, complete with indoor pool and smart restaurant. 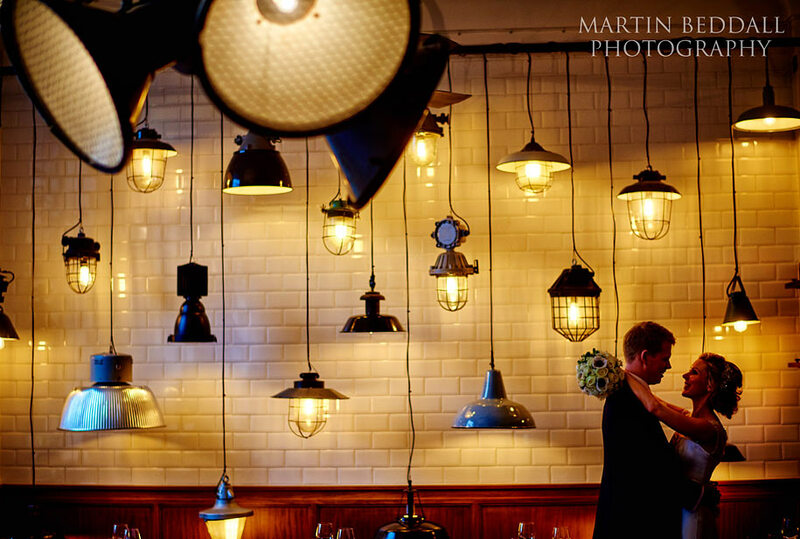 A bit incongruous for the area maybe but a smart wedding venue. 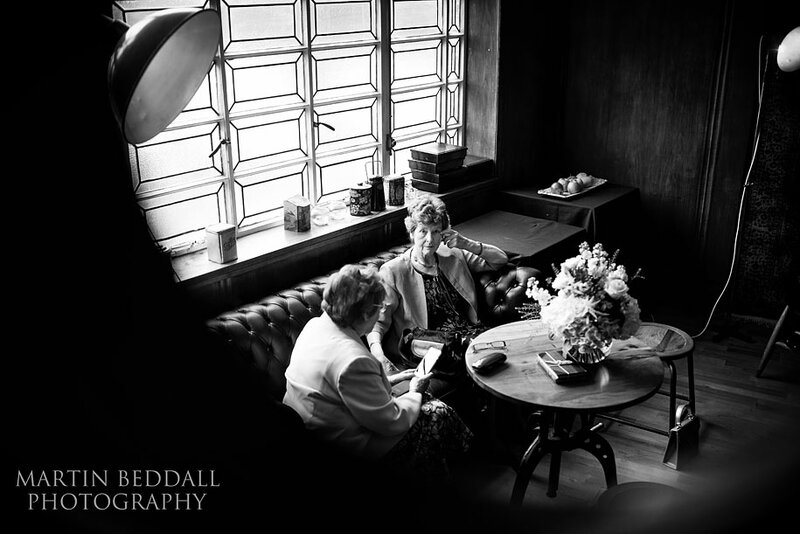 Another sign that the east end of London is changing. 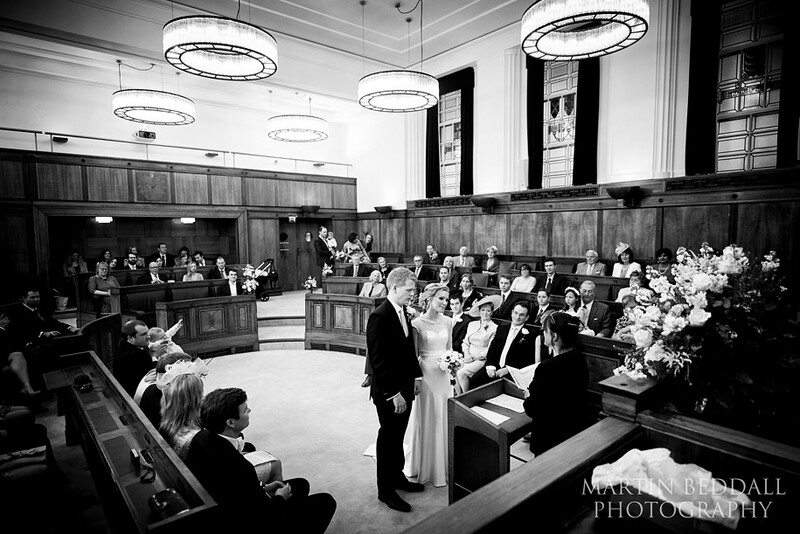 The big council chamber now serves as the wedding ceremony room. 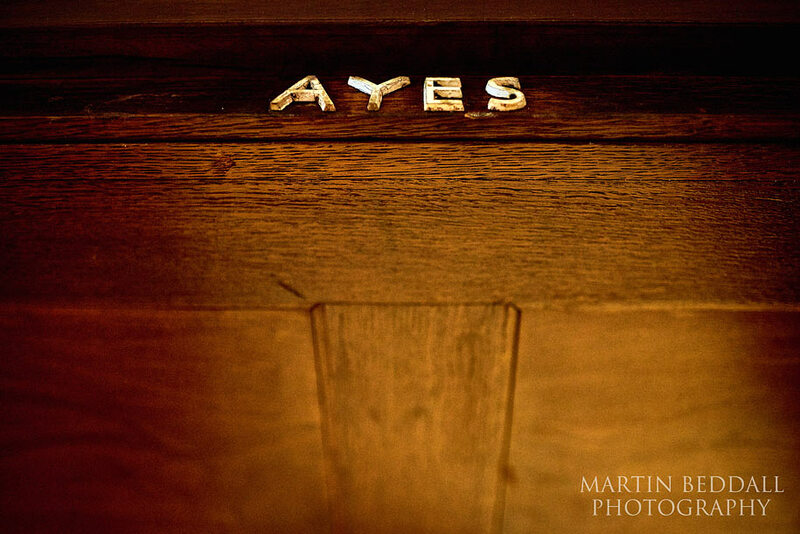 Drinks just outside in the ante chamber through doors with “ayes” or not above them, harking back to the council voting rituals. 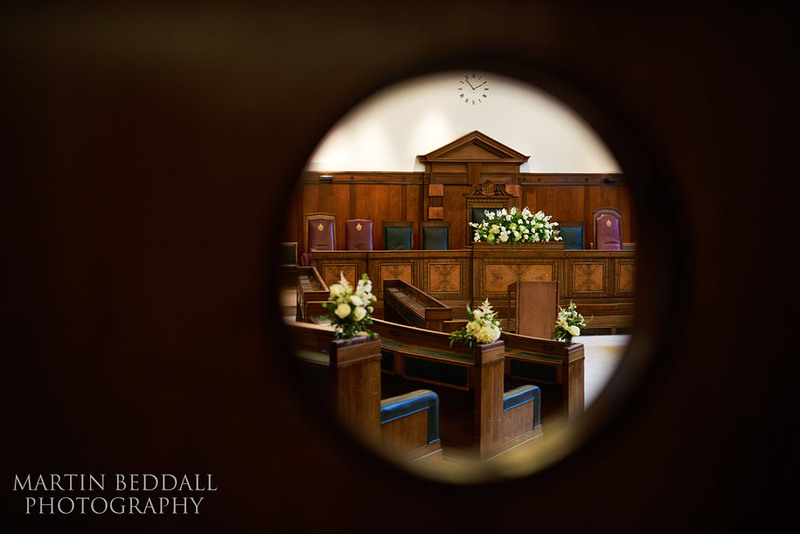 Where once councillors sat and listened to planning applications(? 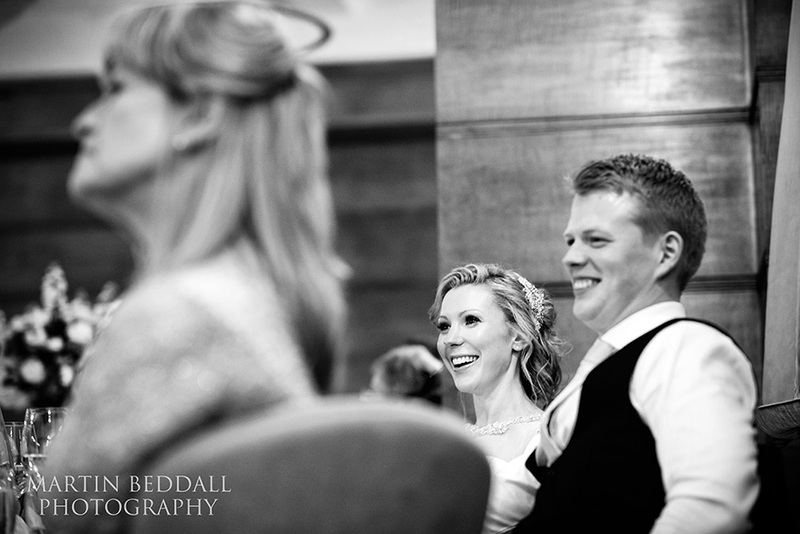 ), now wedding guests sit and watch their friends get married ‘in the round’. 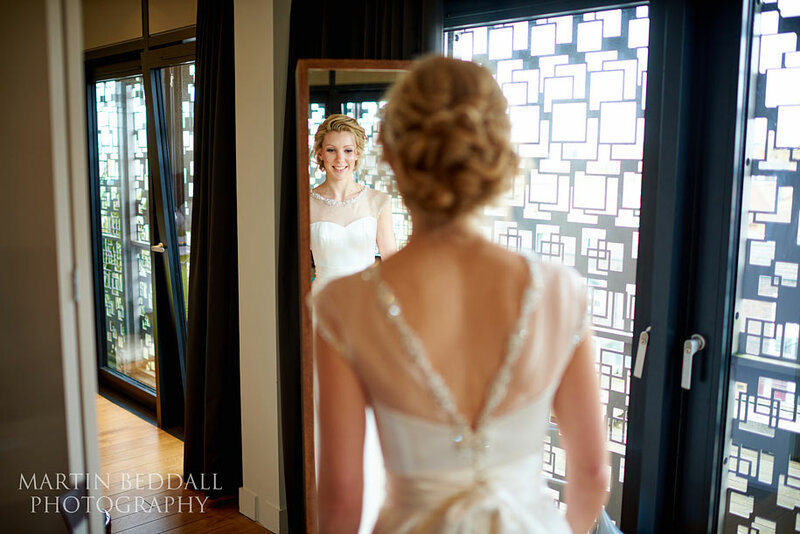 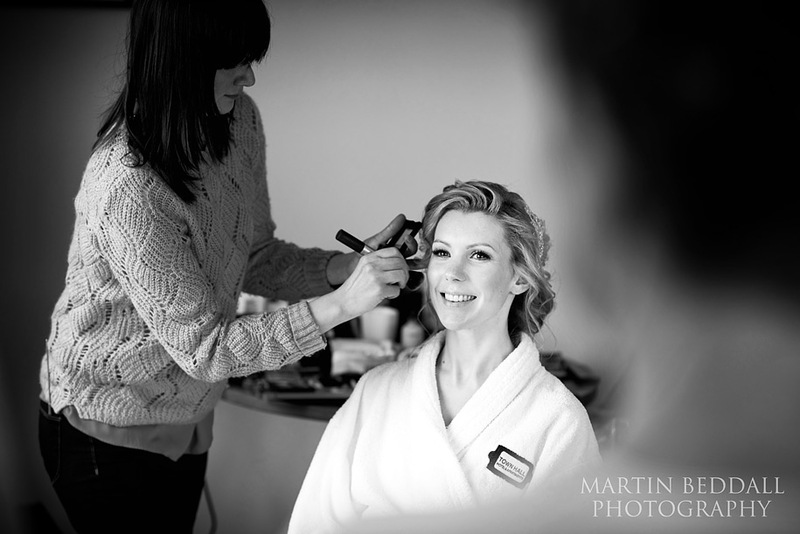 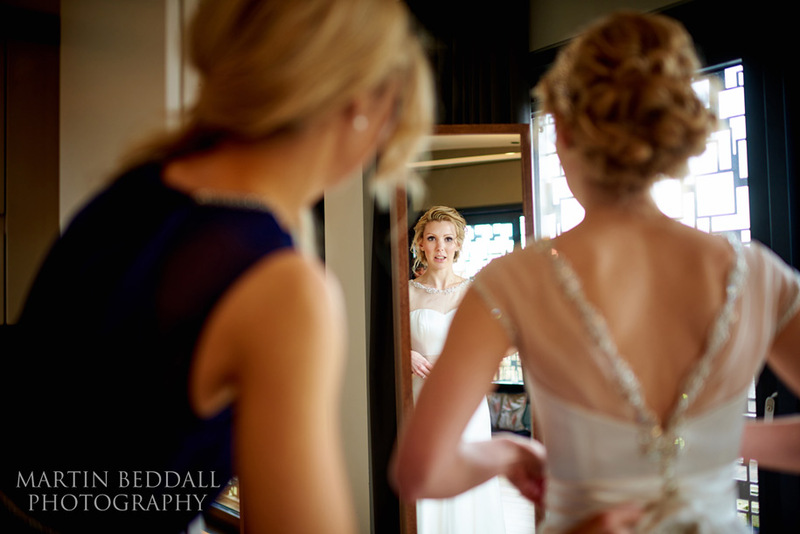 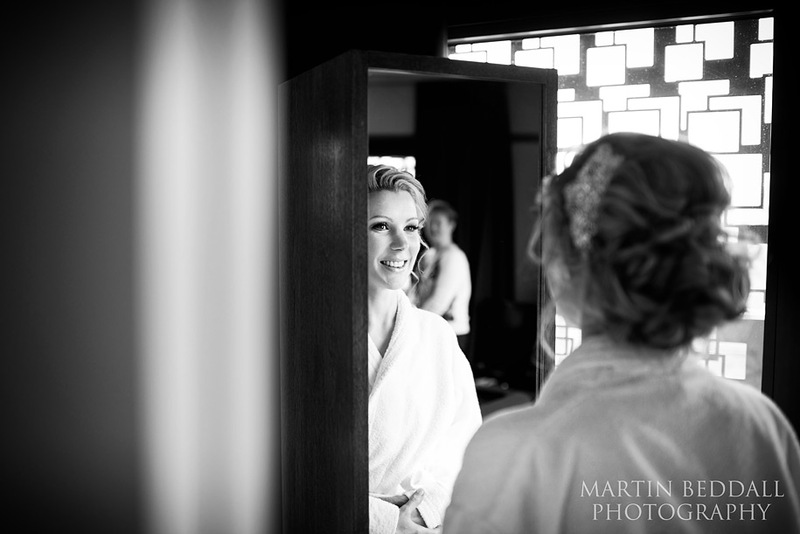 Katherine got ready upstairs with her mother and bridesmaid before being escorted to the ceremony by her proud father. 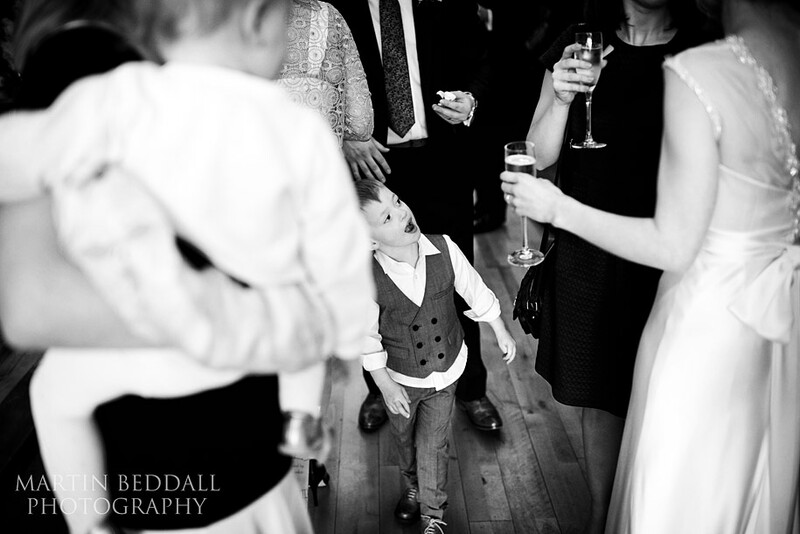 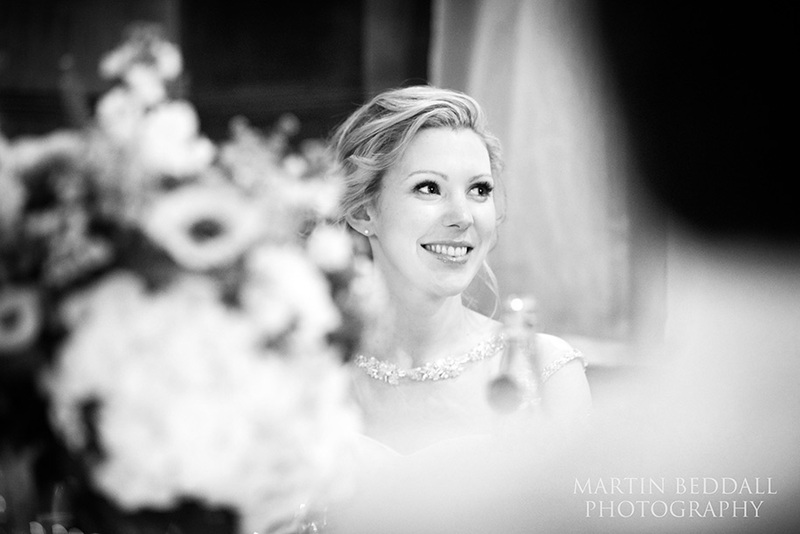 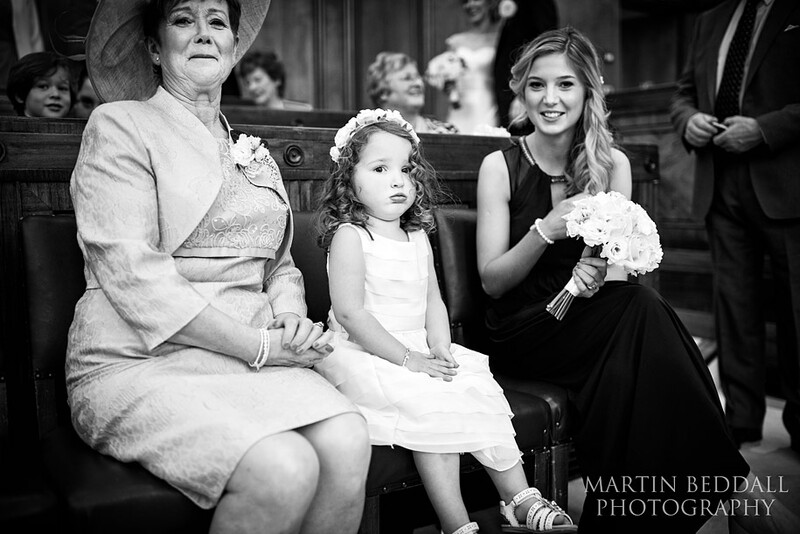 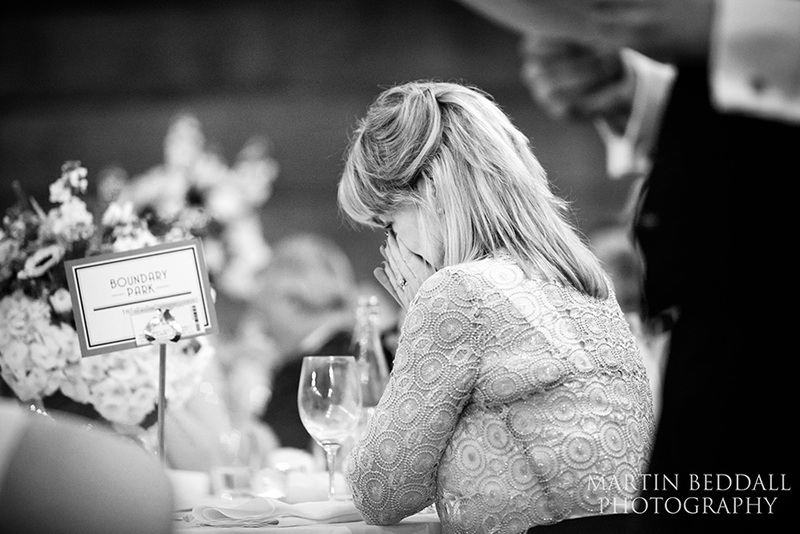 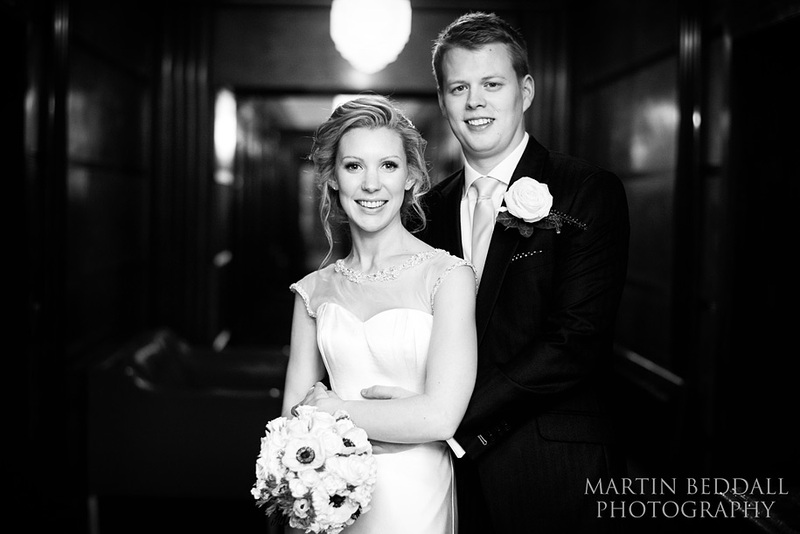 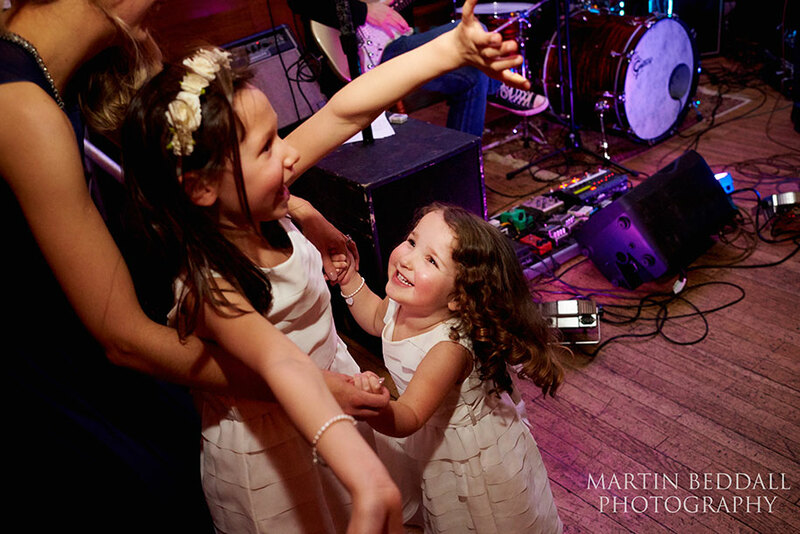 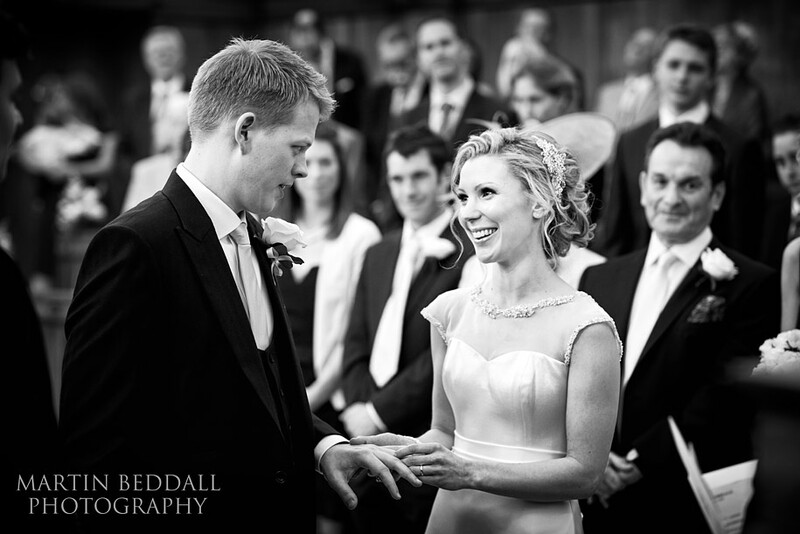 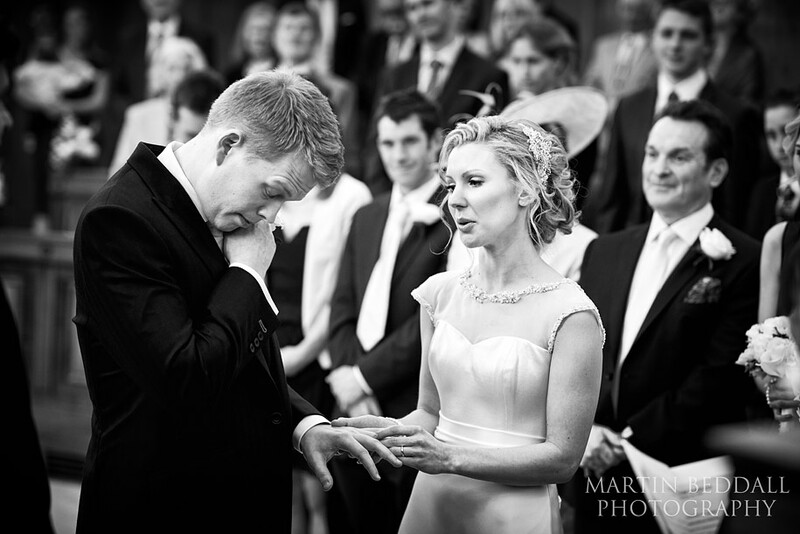 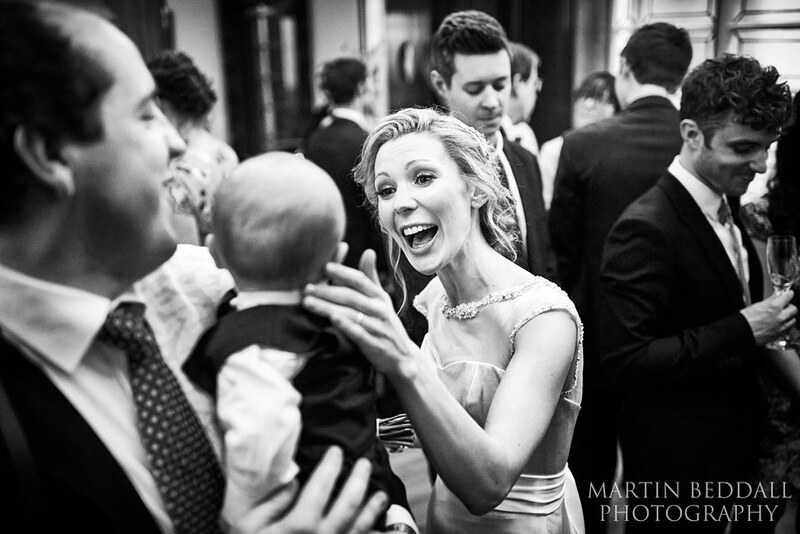 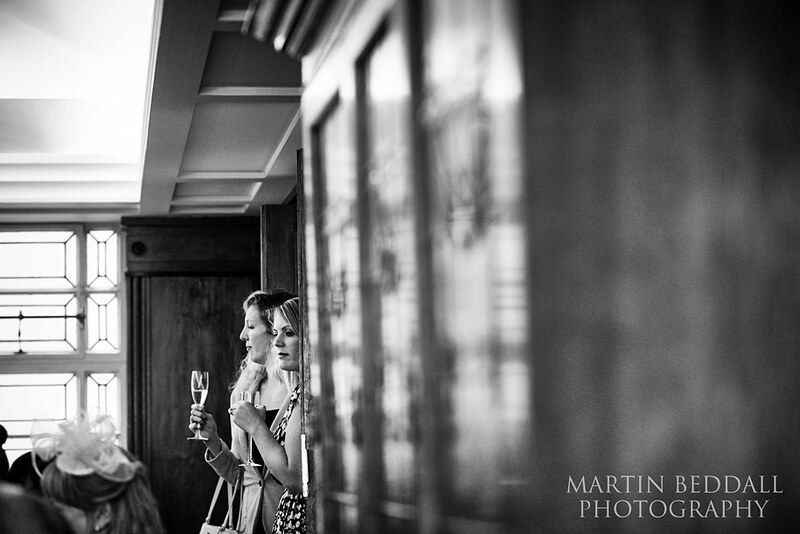 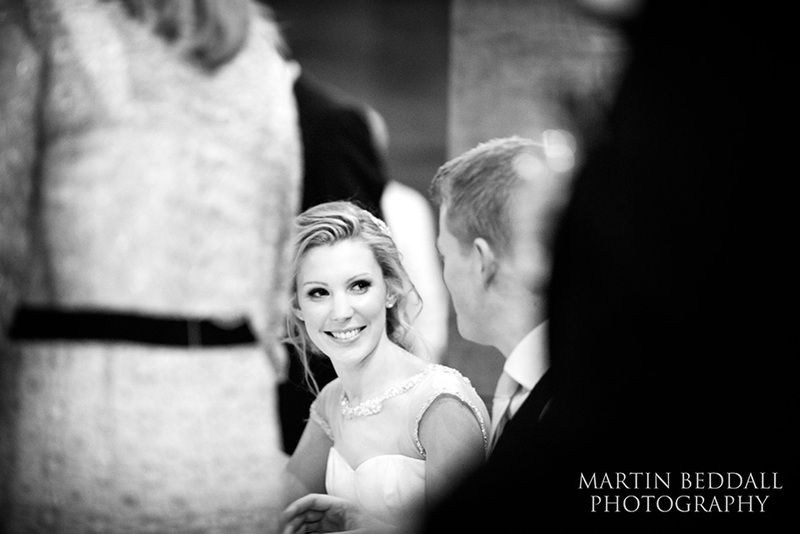 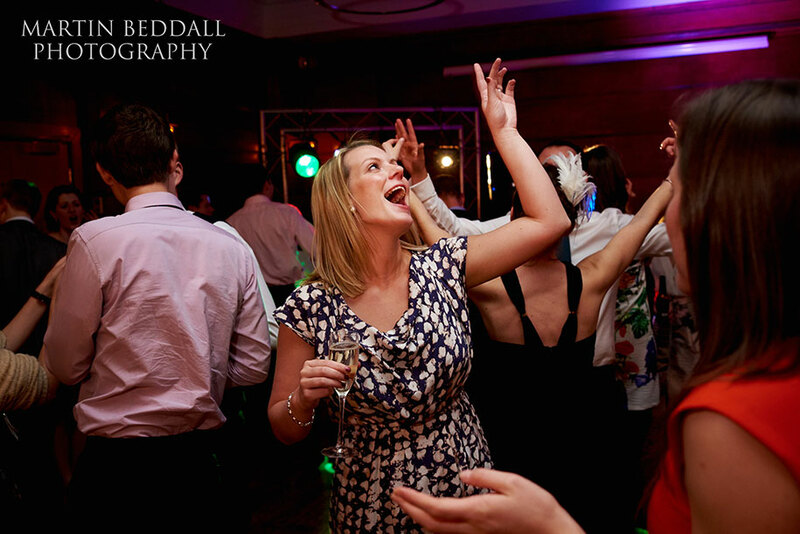 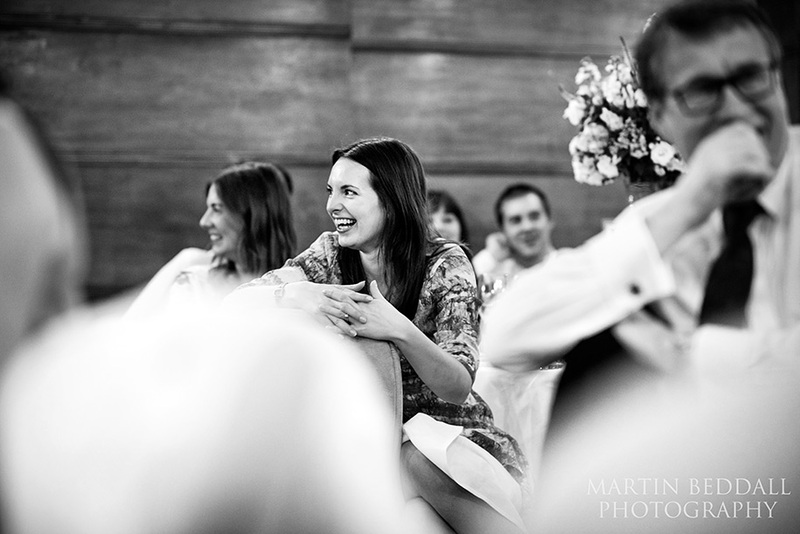 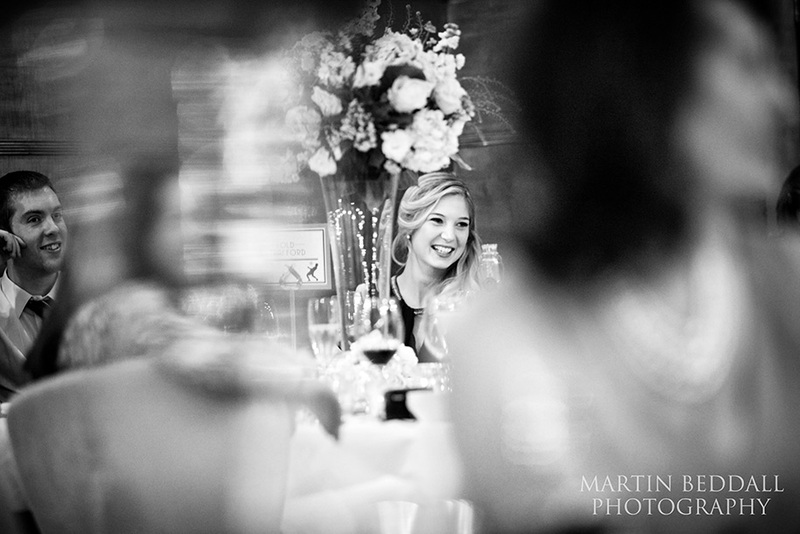 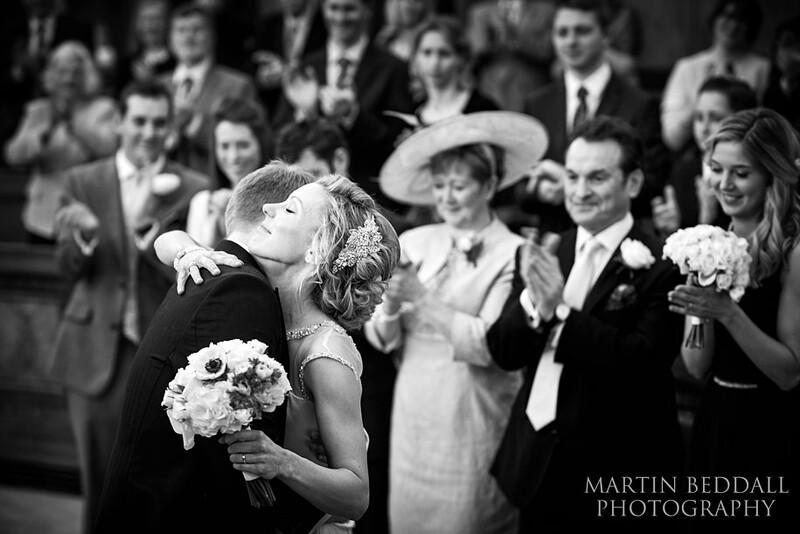 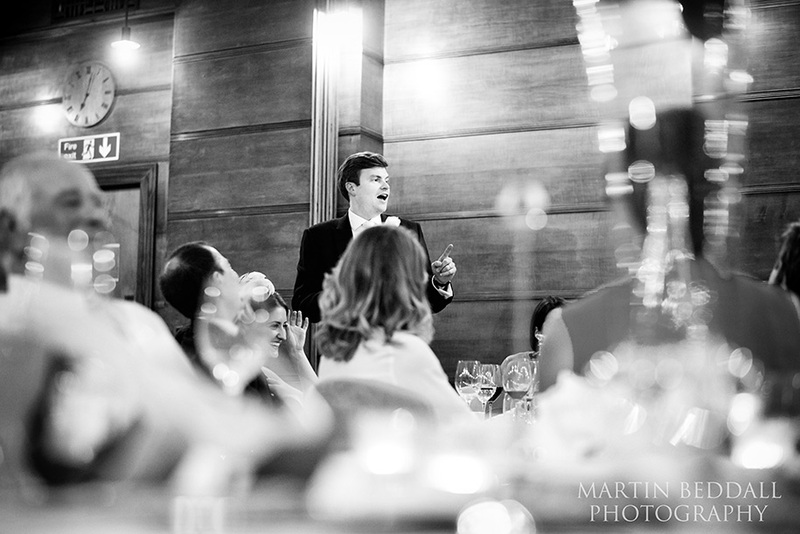 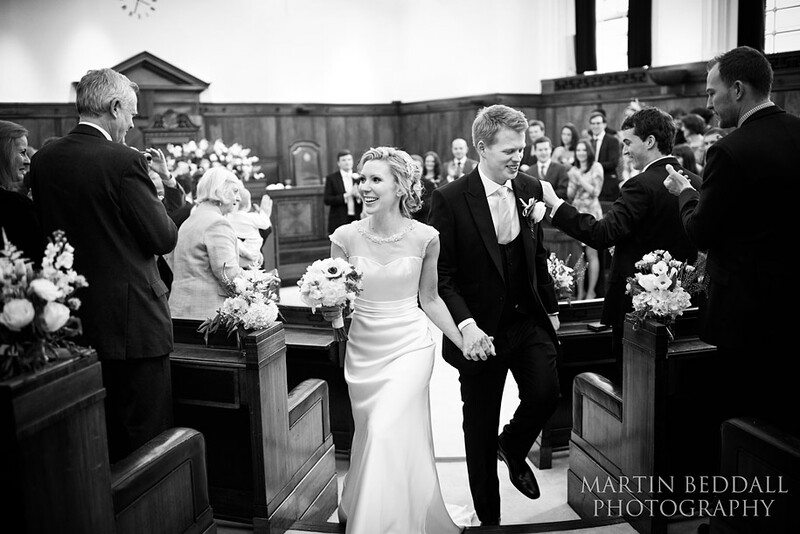 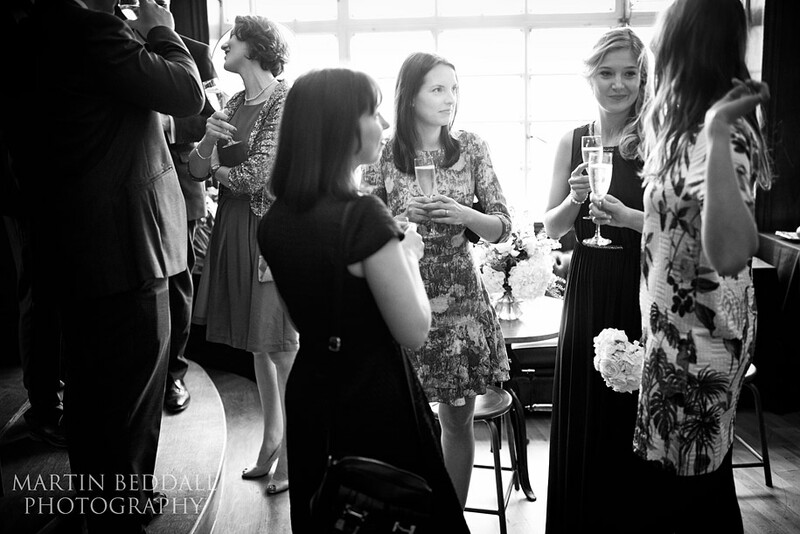 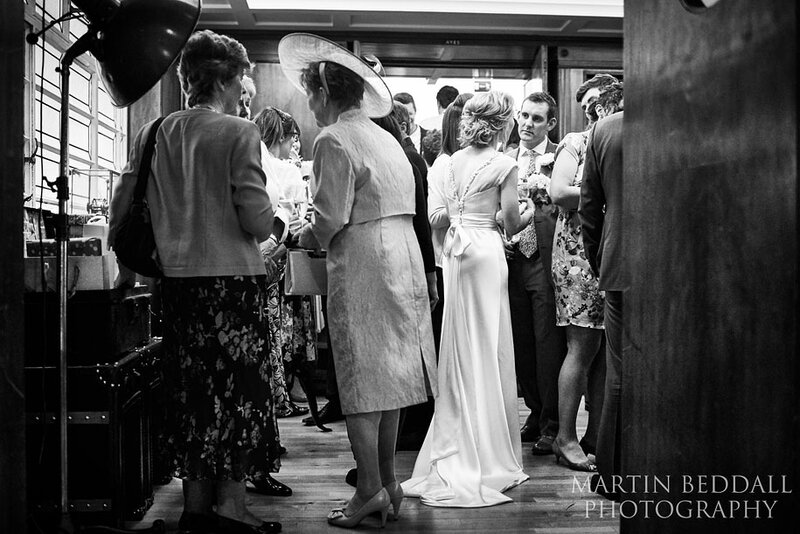 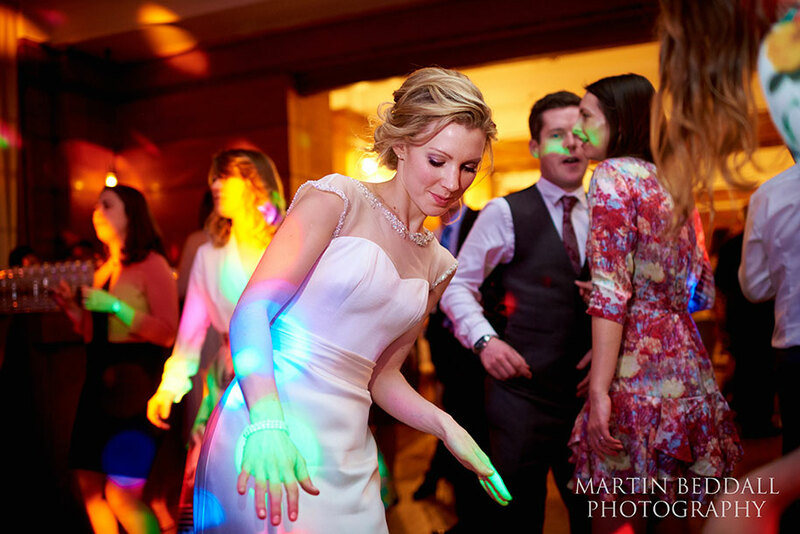 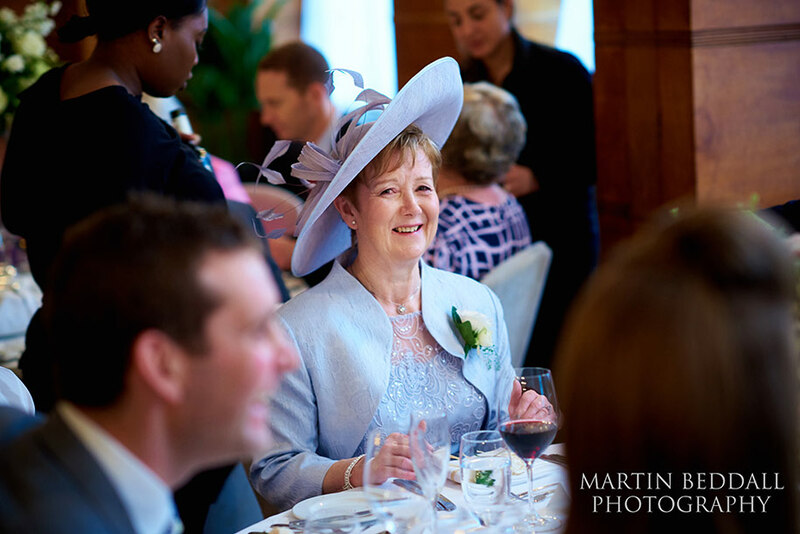 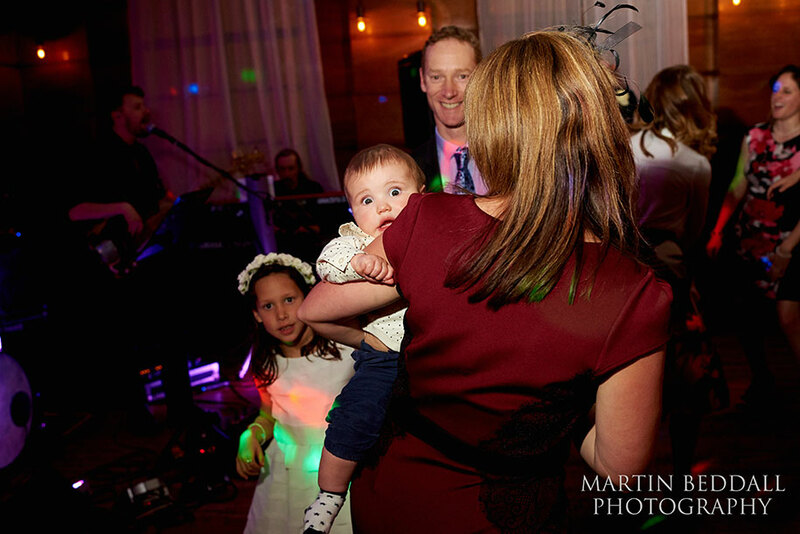 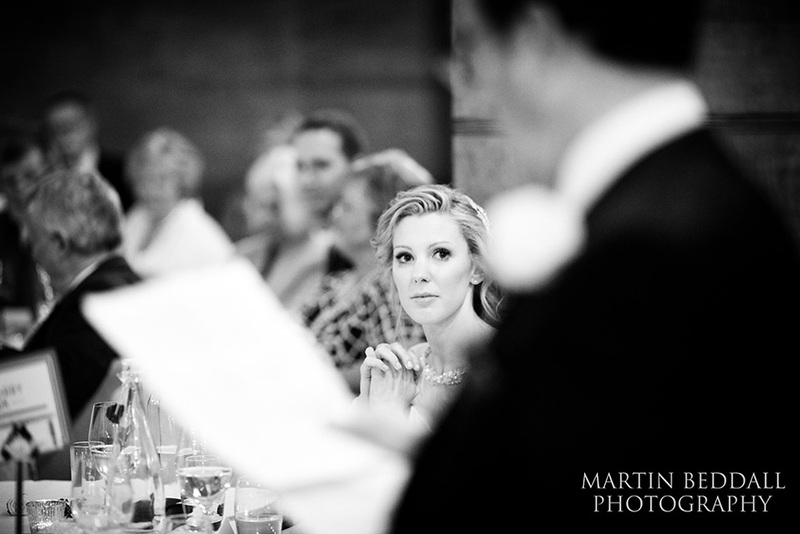 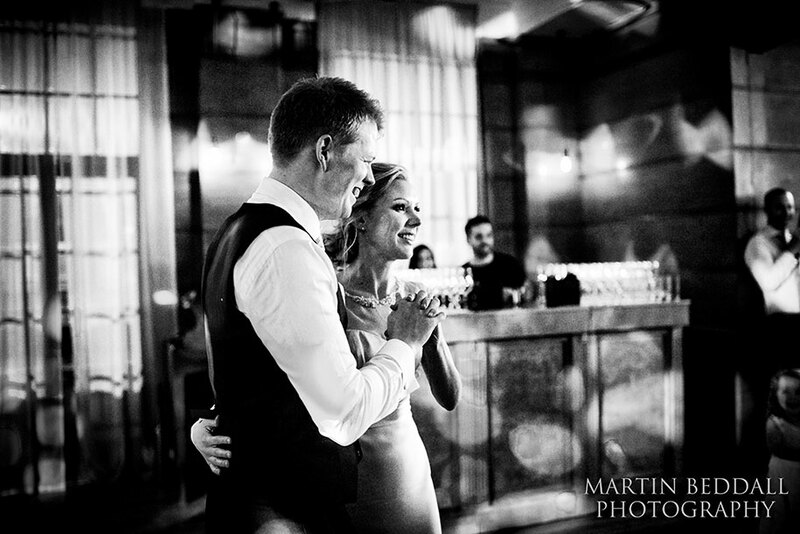 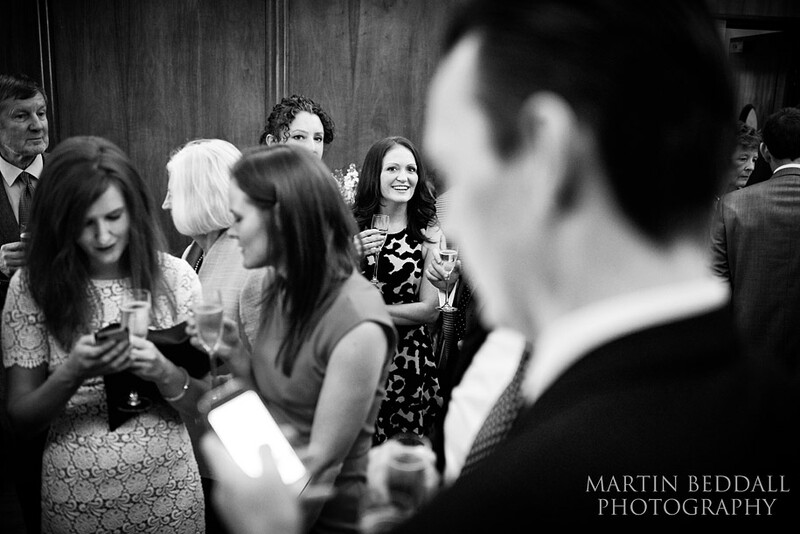 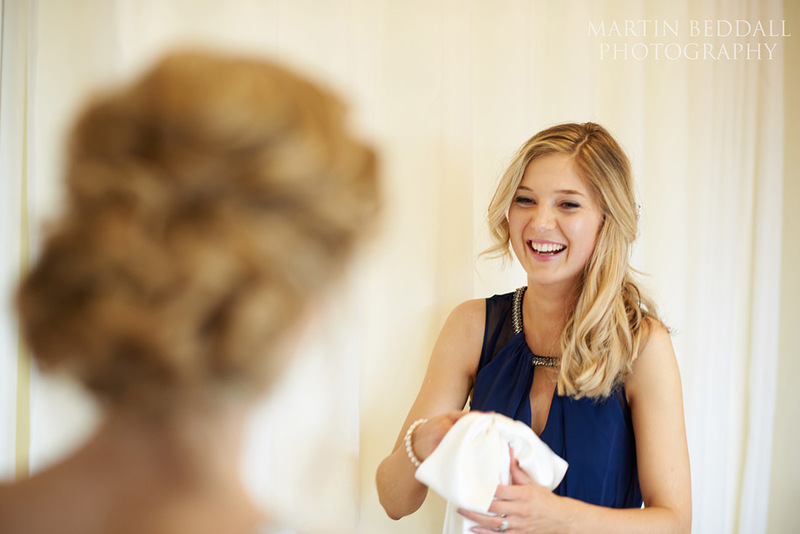 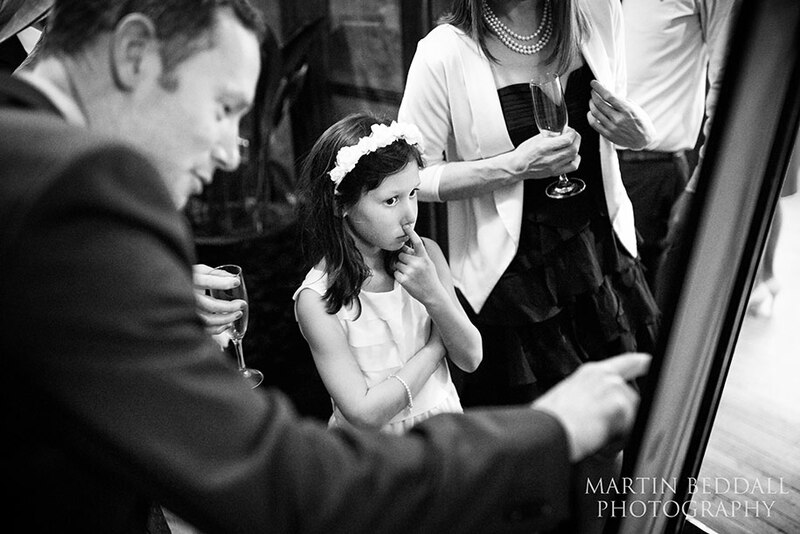 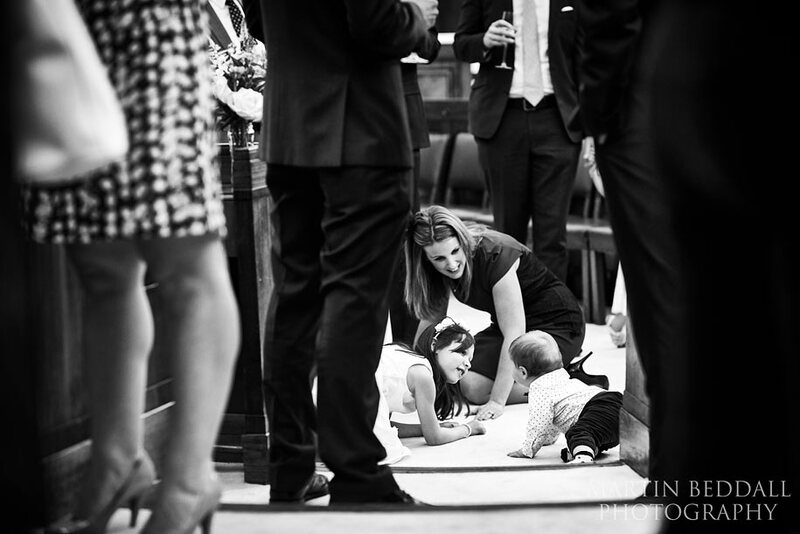 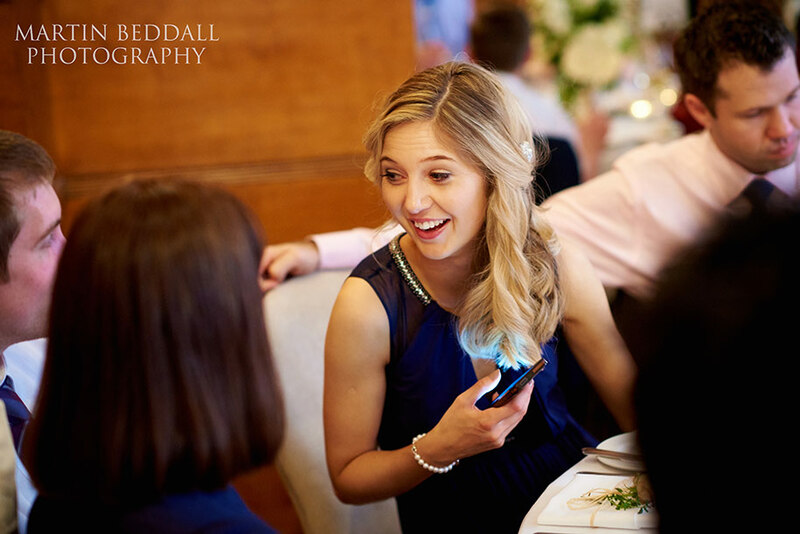 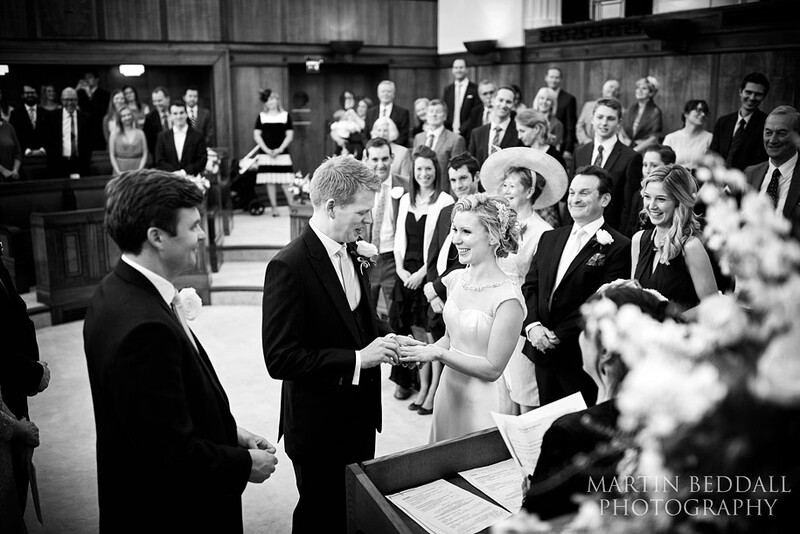 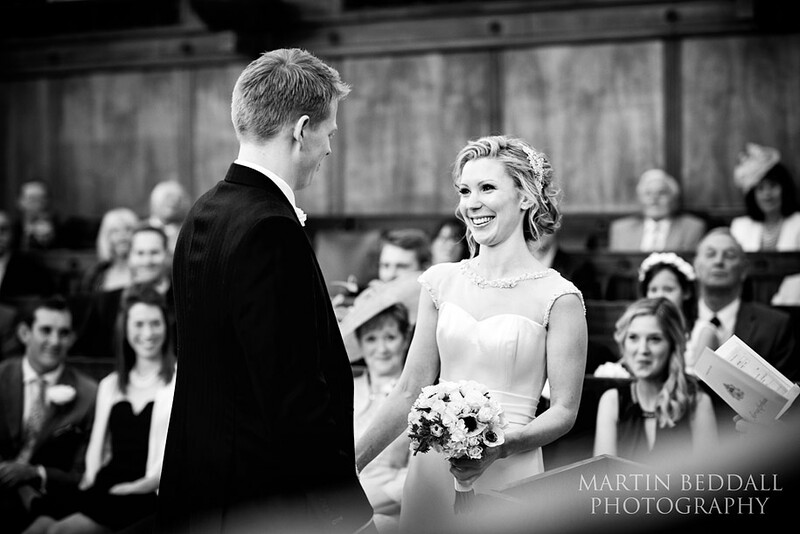 Katherine and Charlie were guests at another wet London wedding that I shot back in 2013. 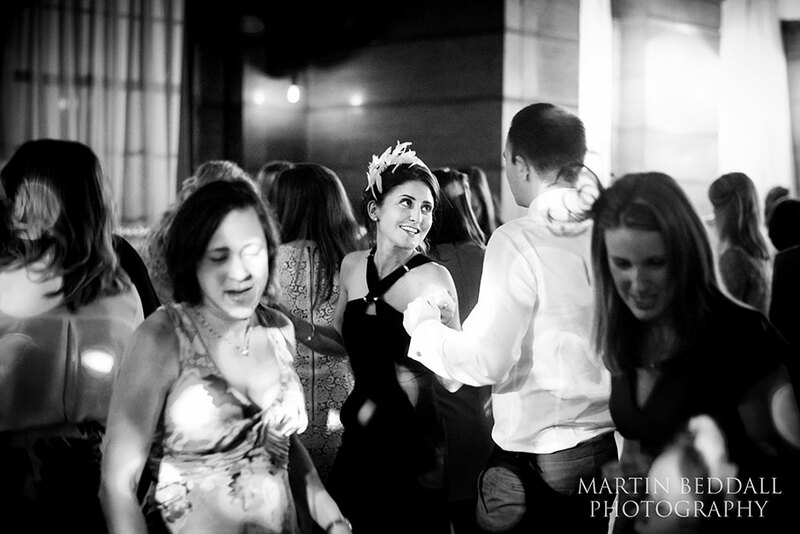 This time though there was no need to dodge the drizzle between venues. 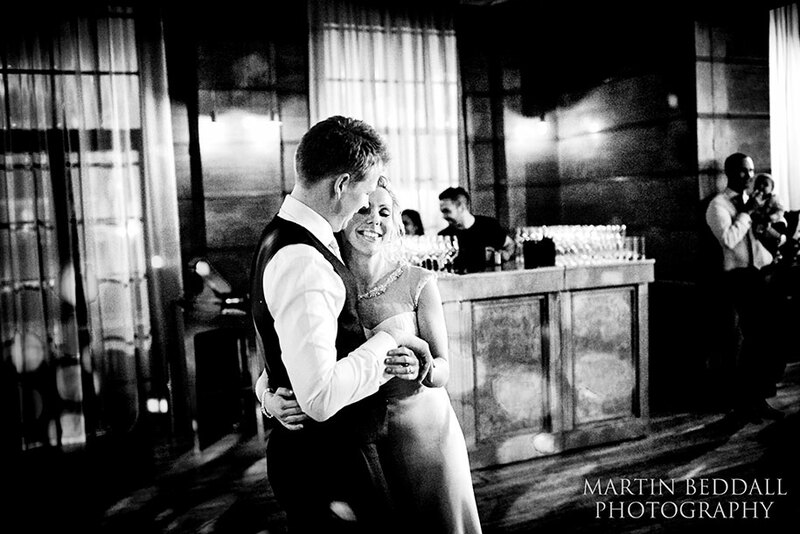 Unfortunately the rain outside did mean it was darker inside, but it didn’t ruin the atmosphere. 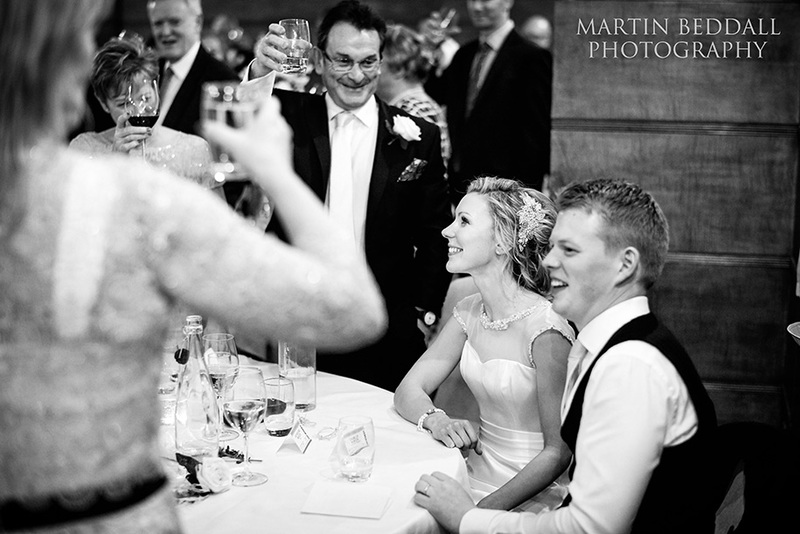 After drinks it was on to the meal followed by the speeches. 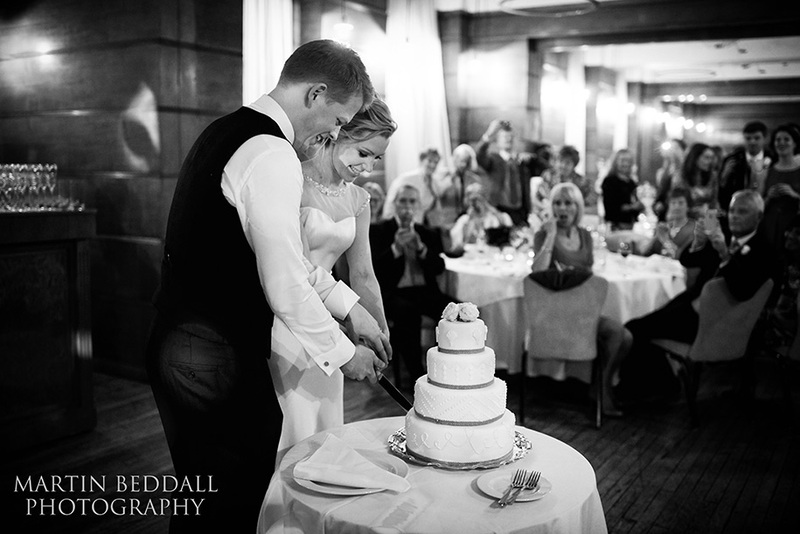 Then the dividing wall was rolled up into the ceiling to reveal the cutting of the wedding cake and the first dance. 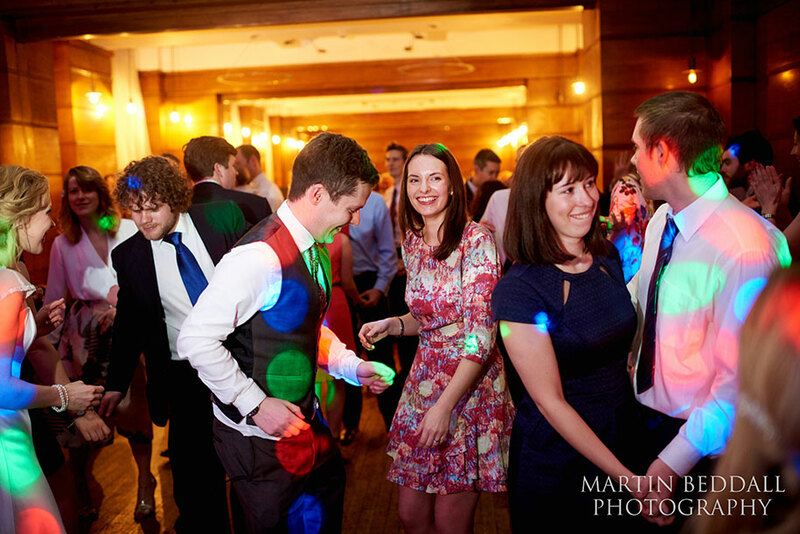 Time for the band to crank up the party. 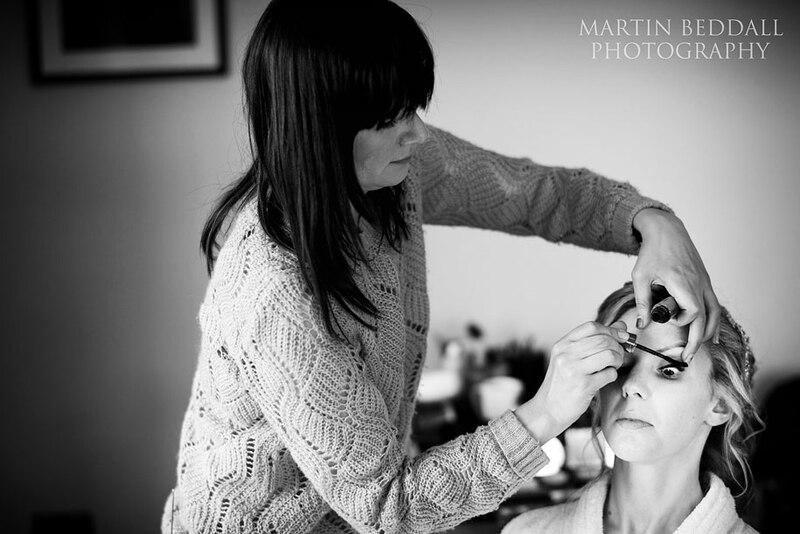 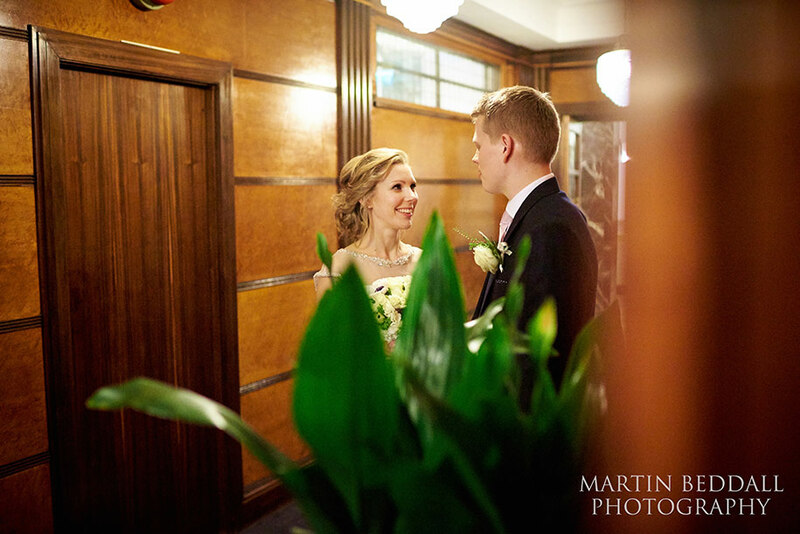 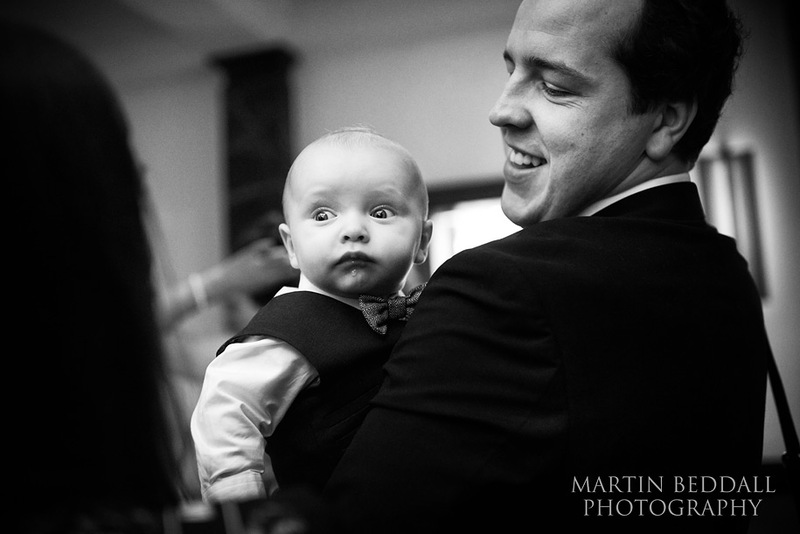 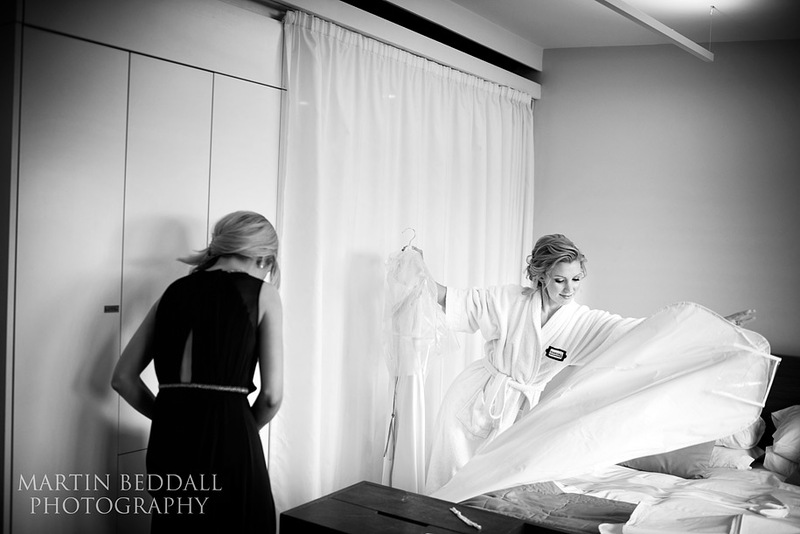 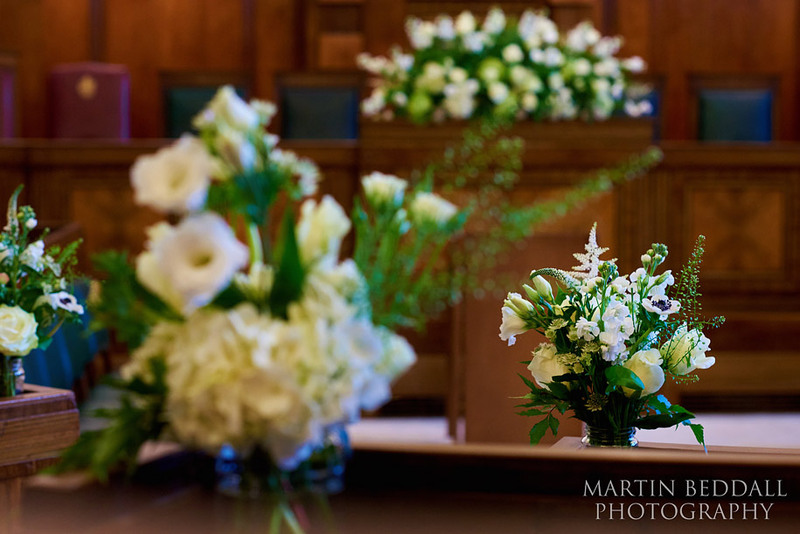 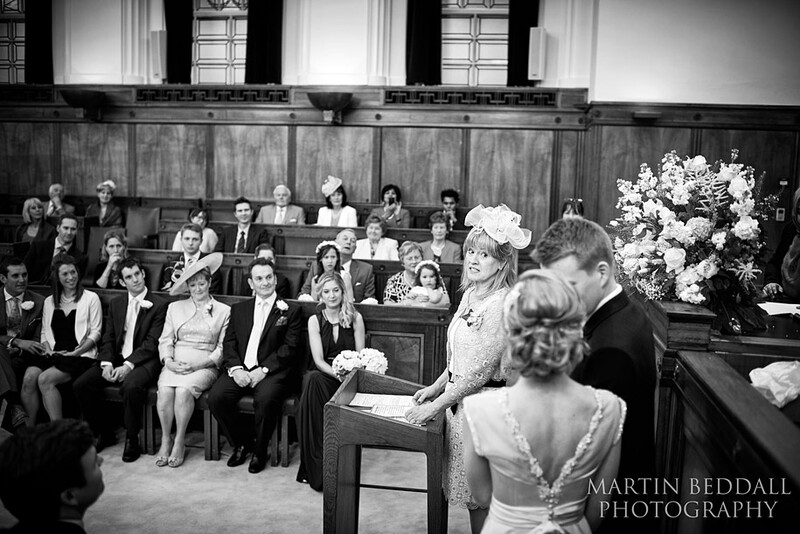 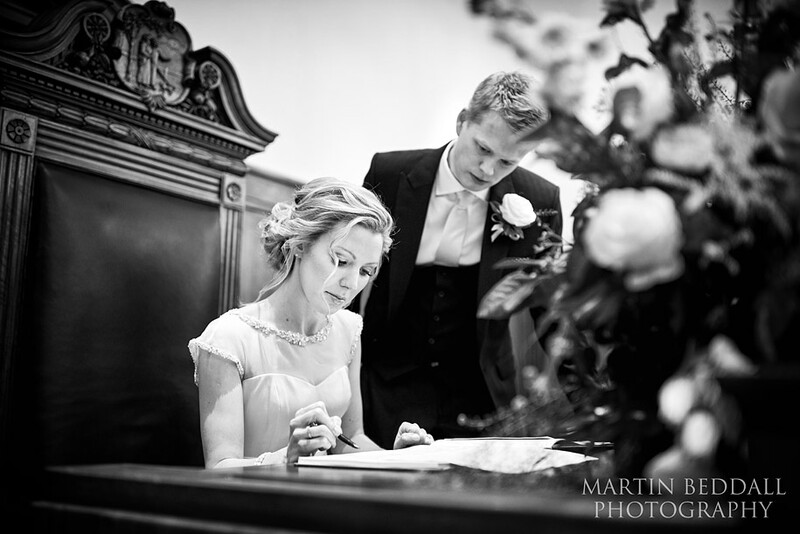 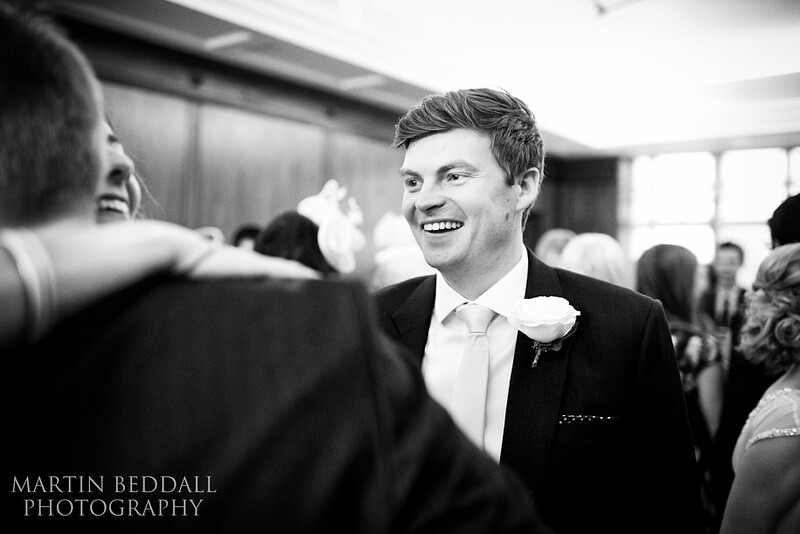 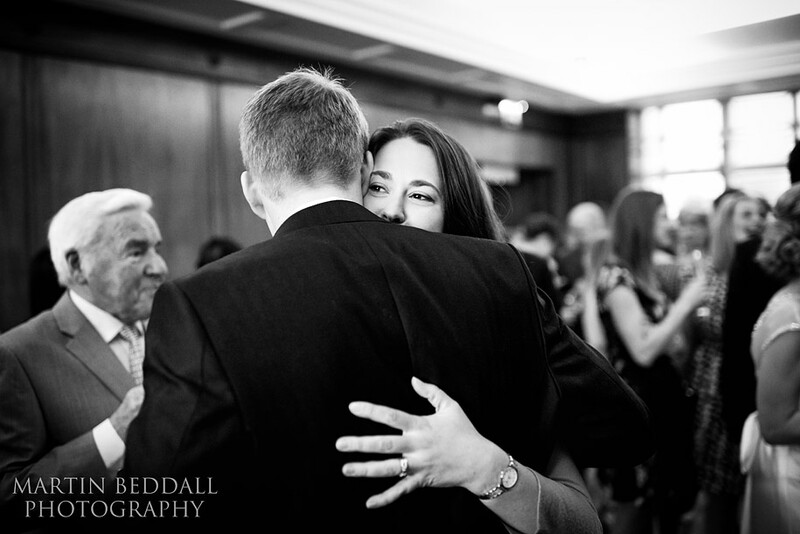 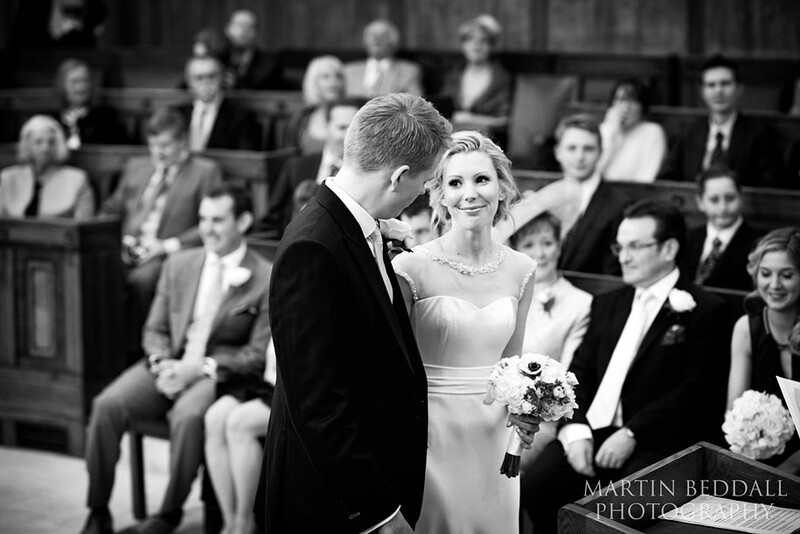 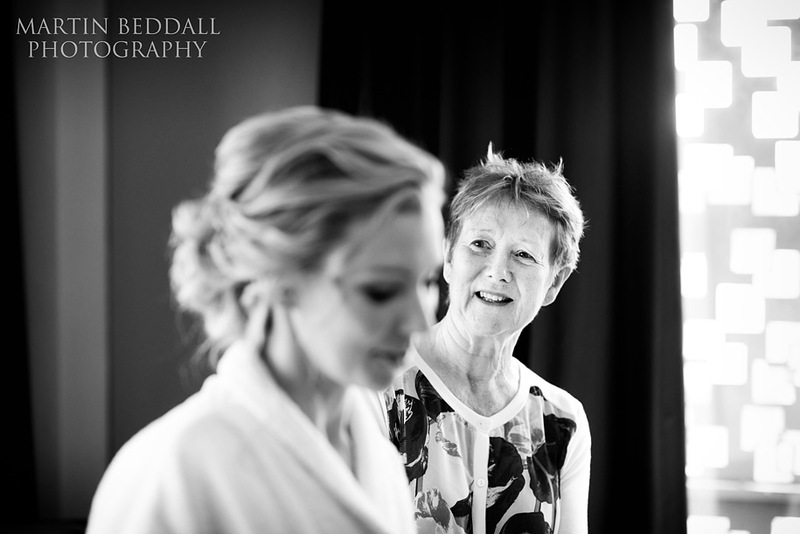 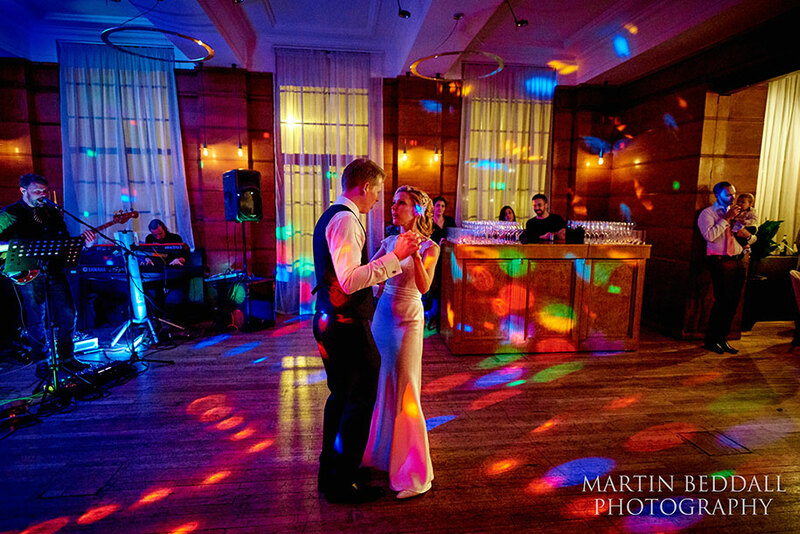 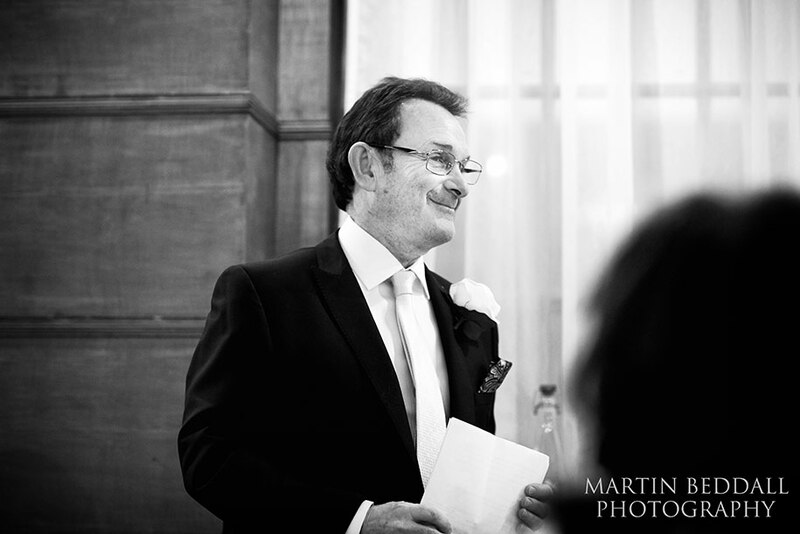 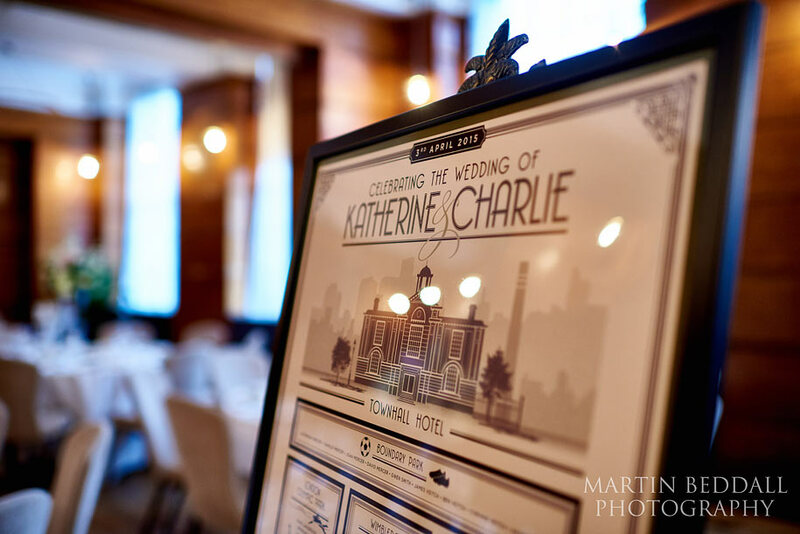 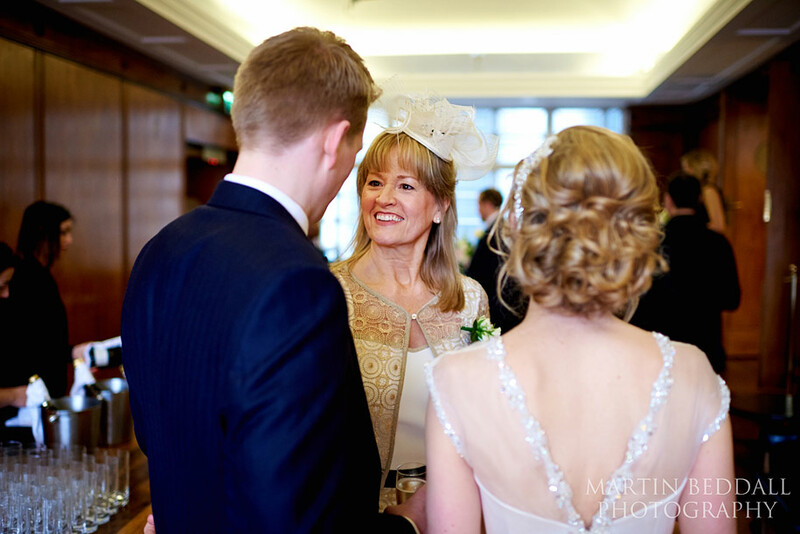 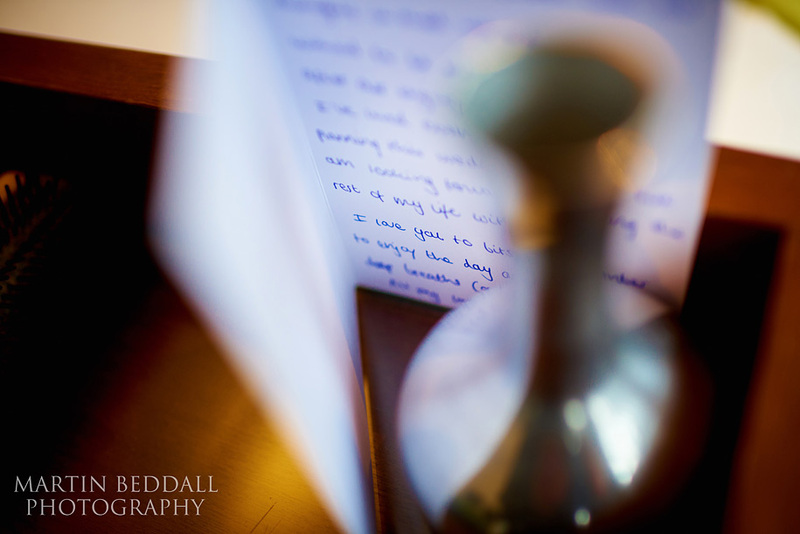 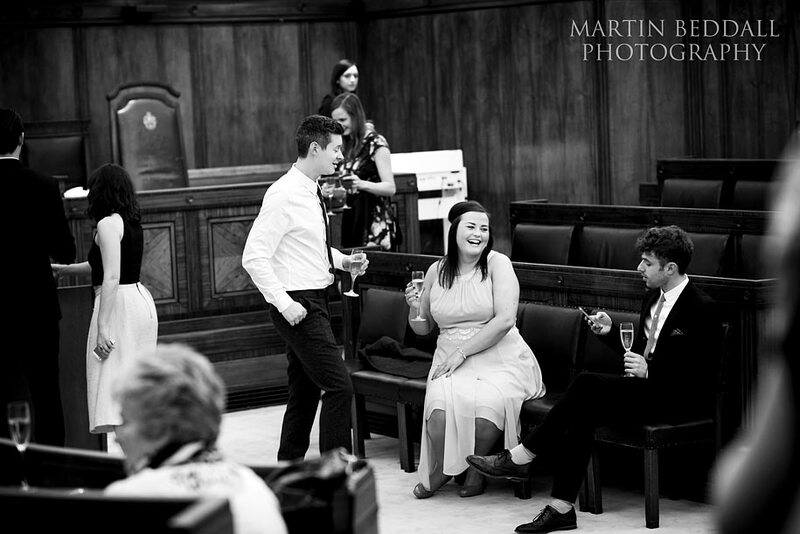 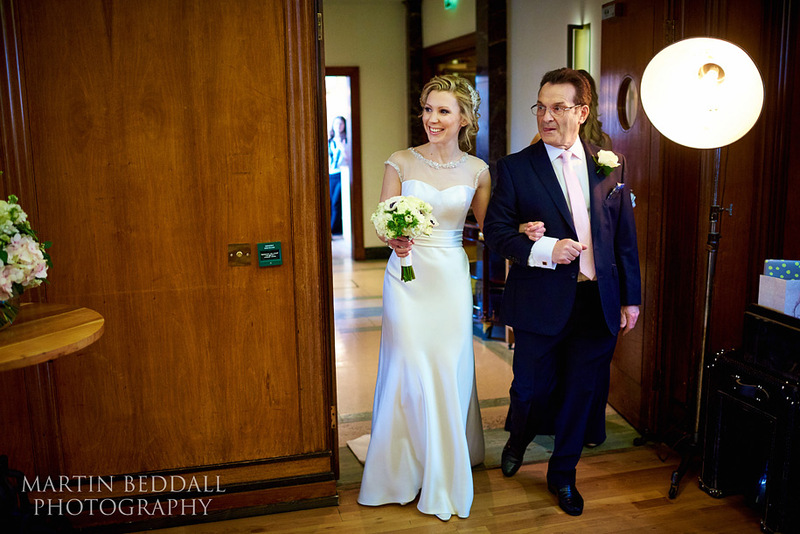 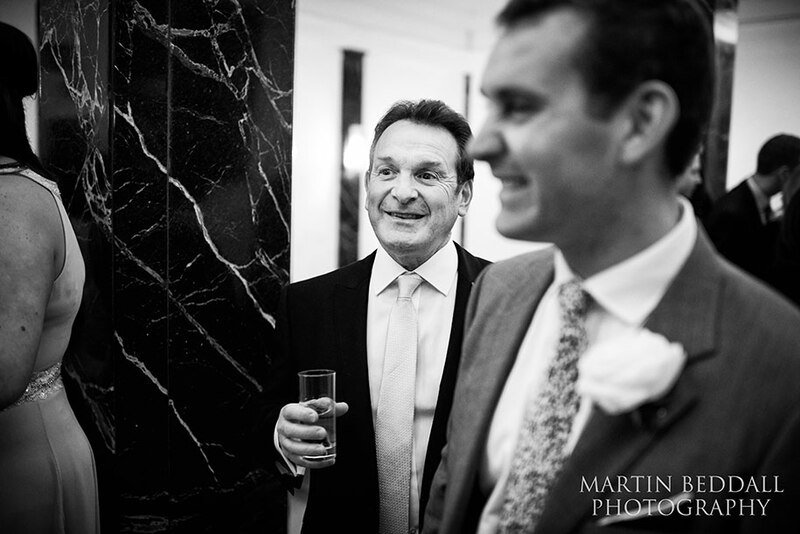 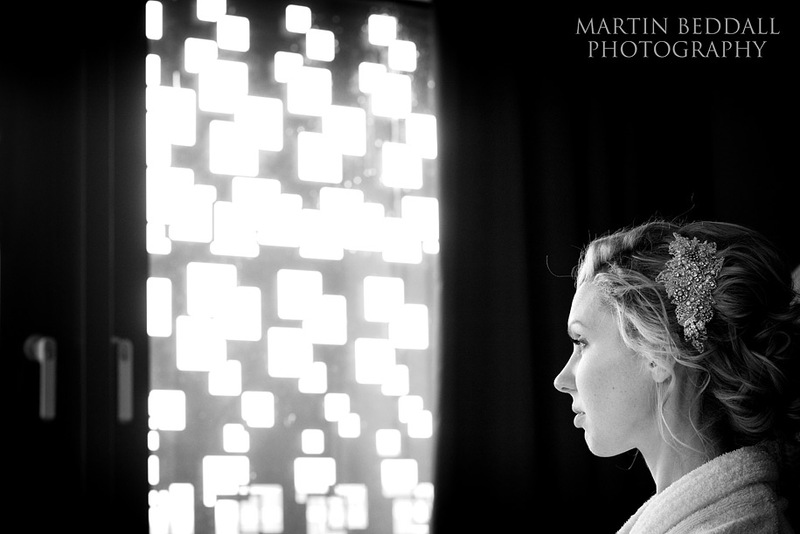 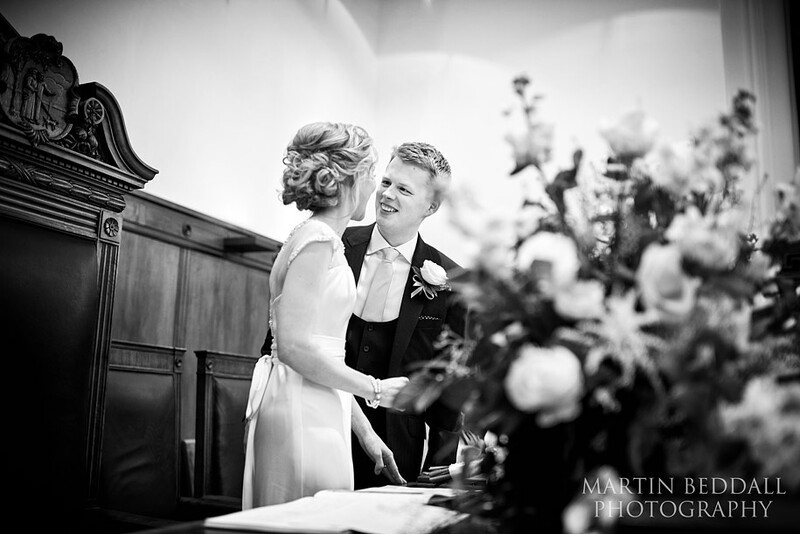 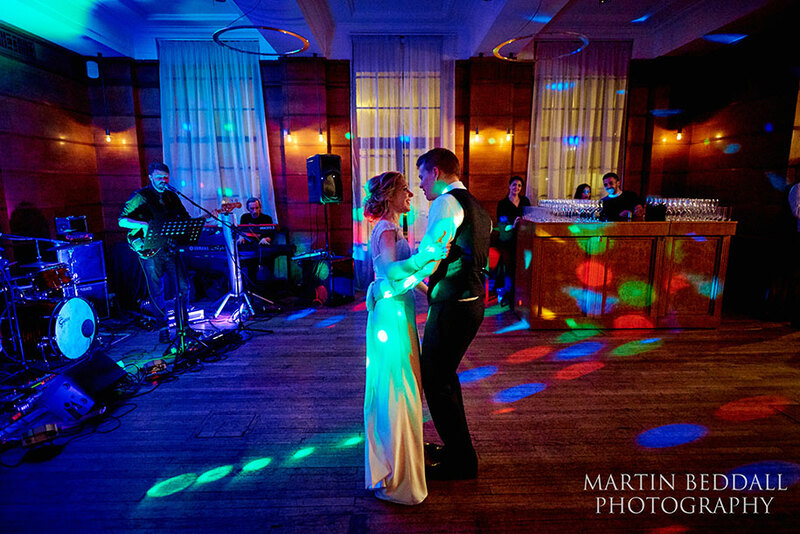 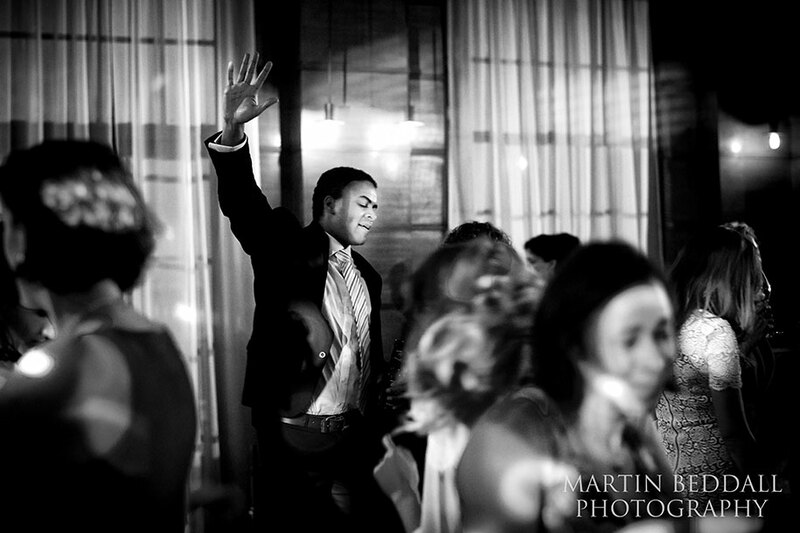 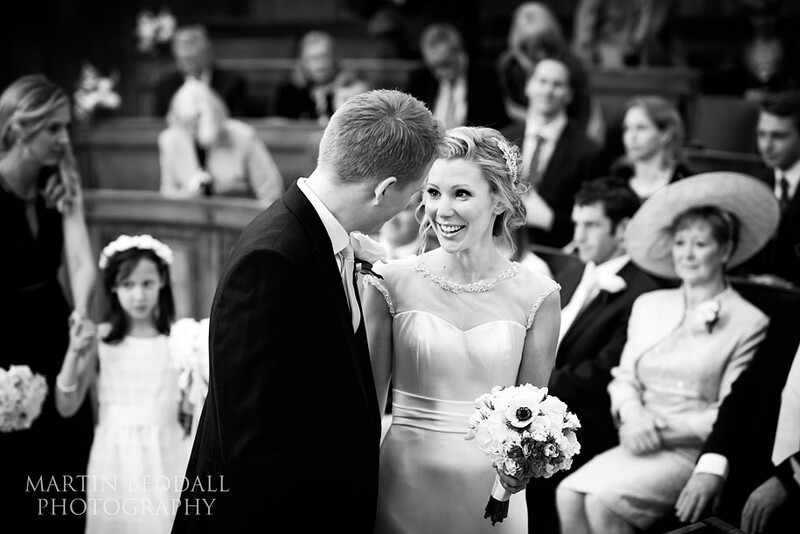 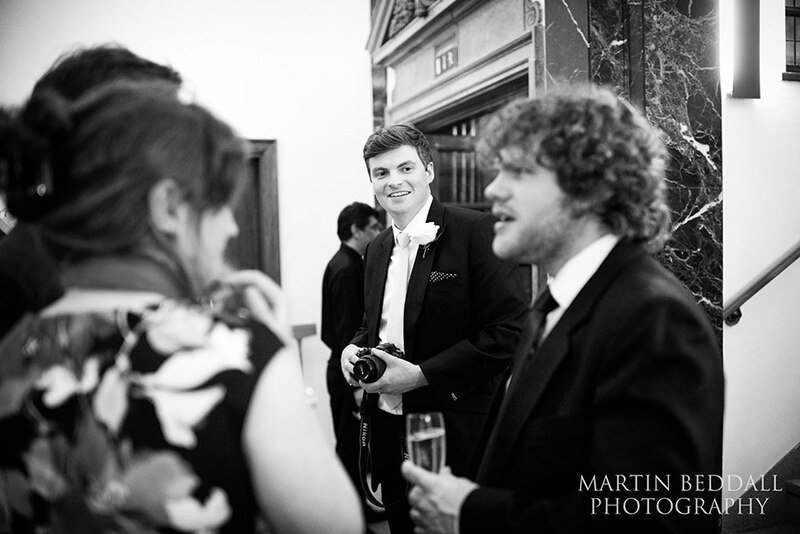 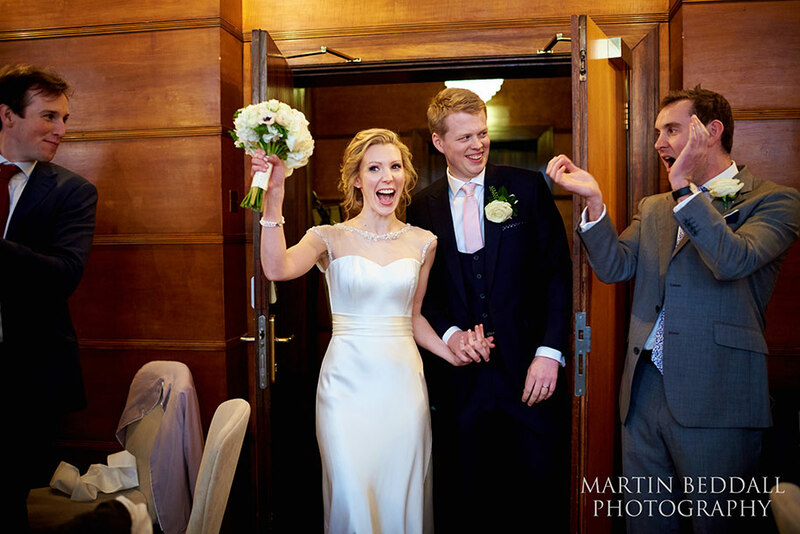 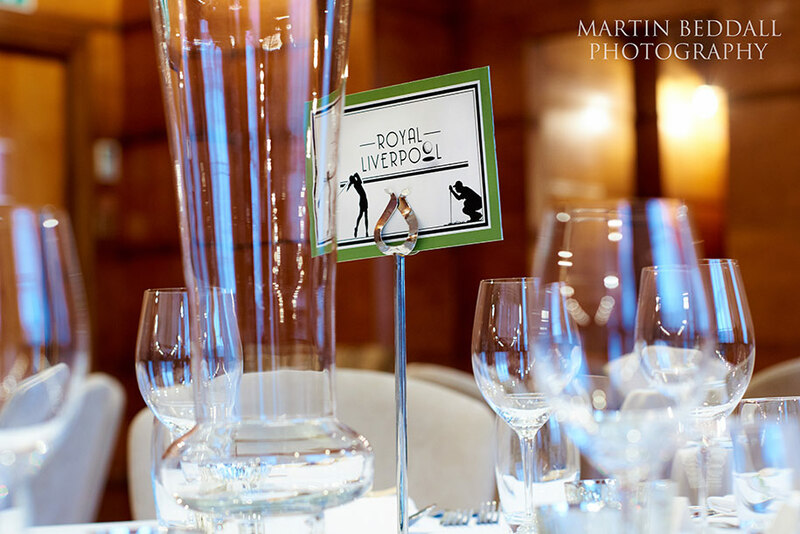 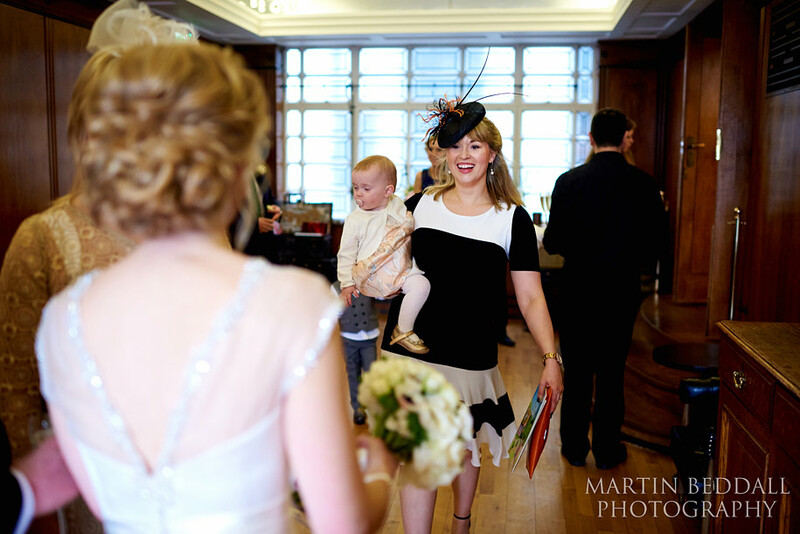 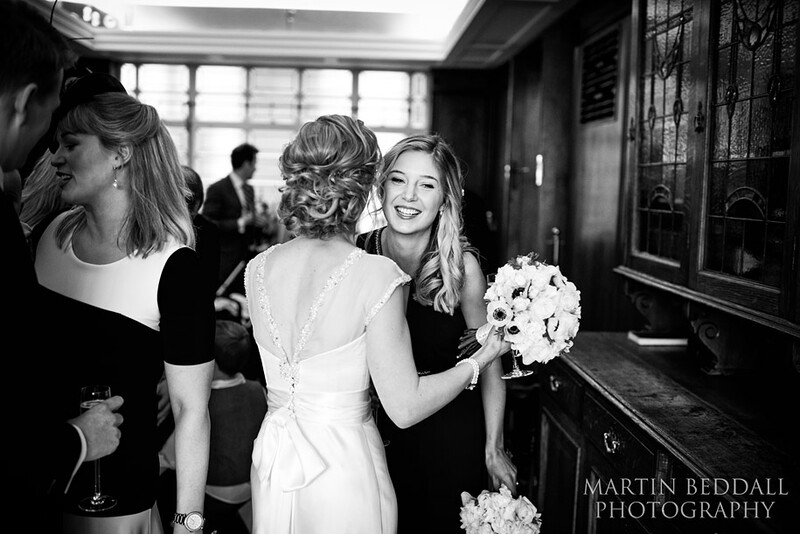 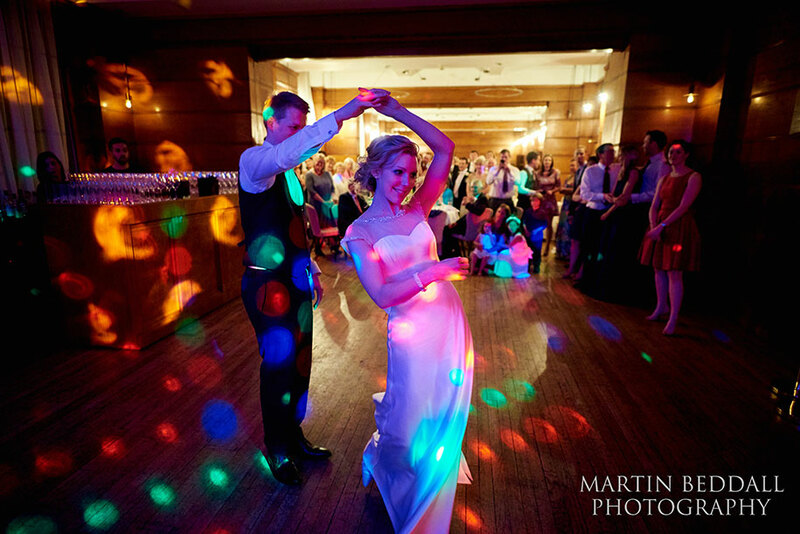 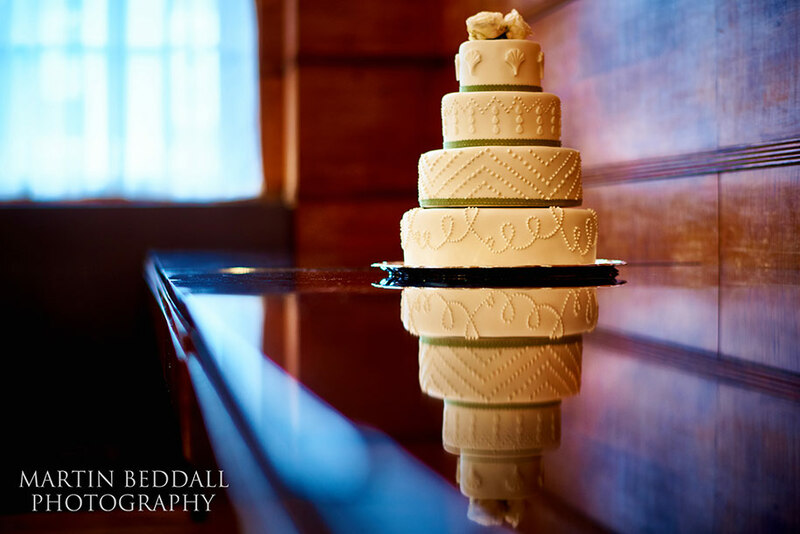 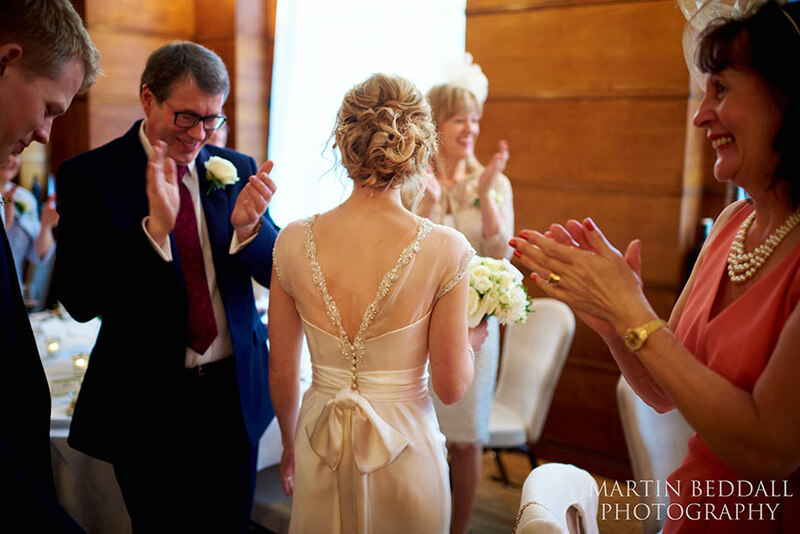 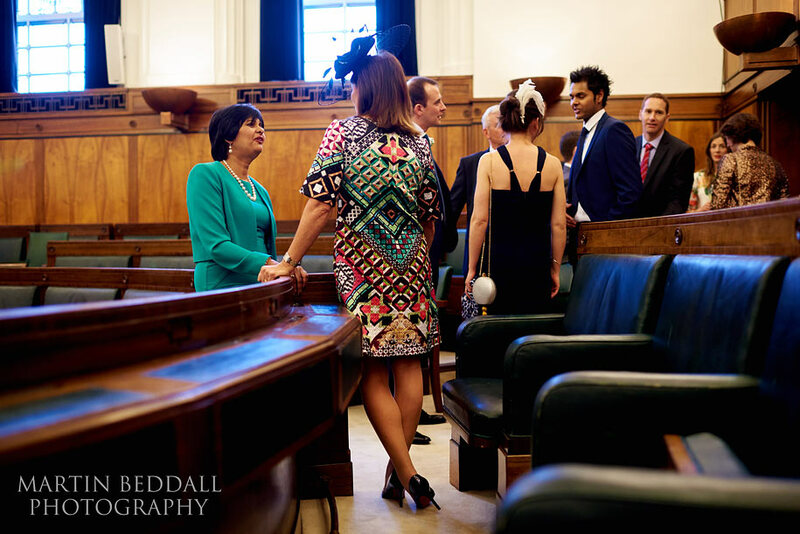 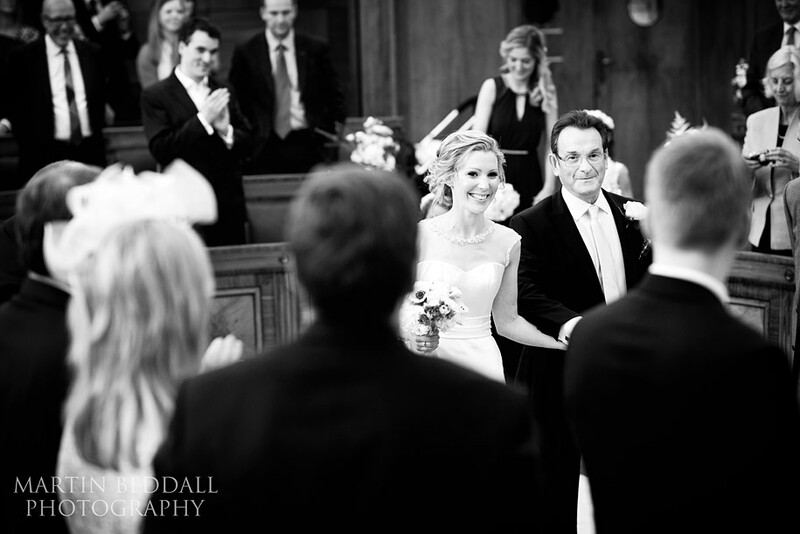 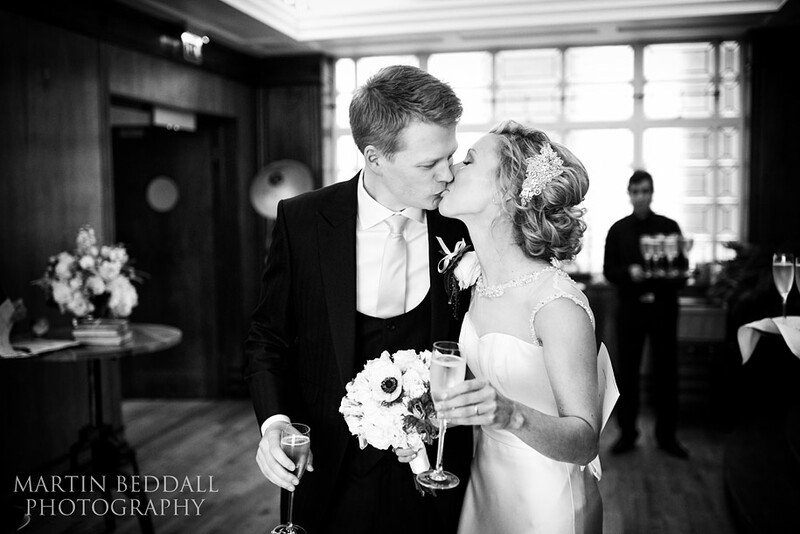 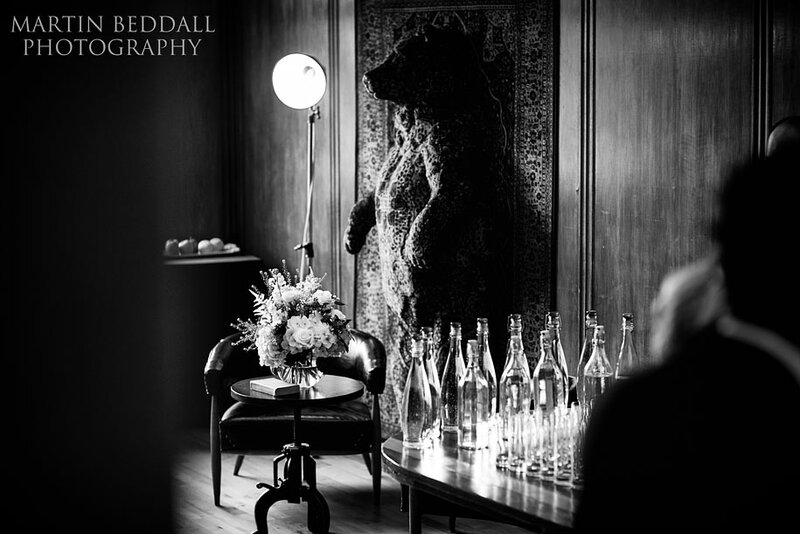 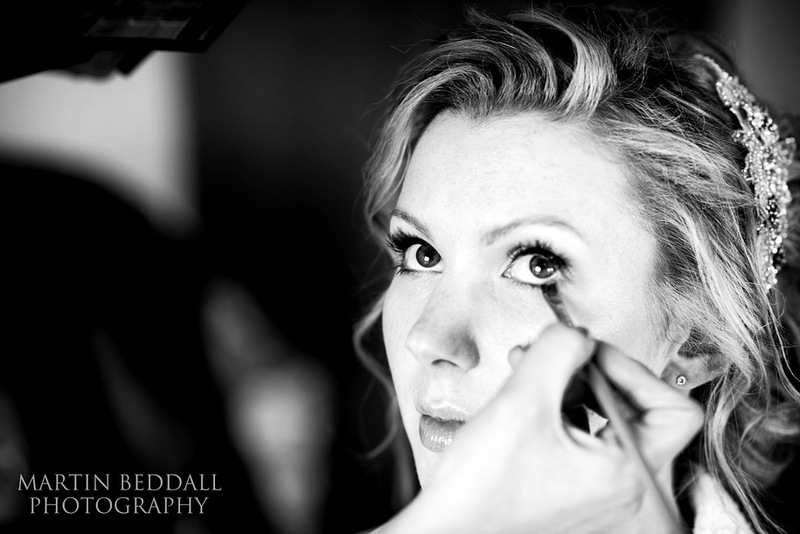 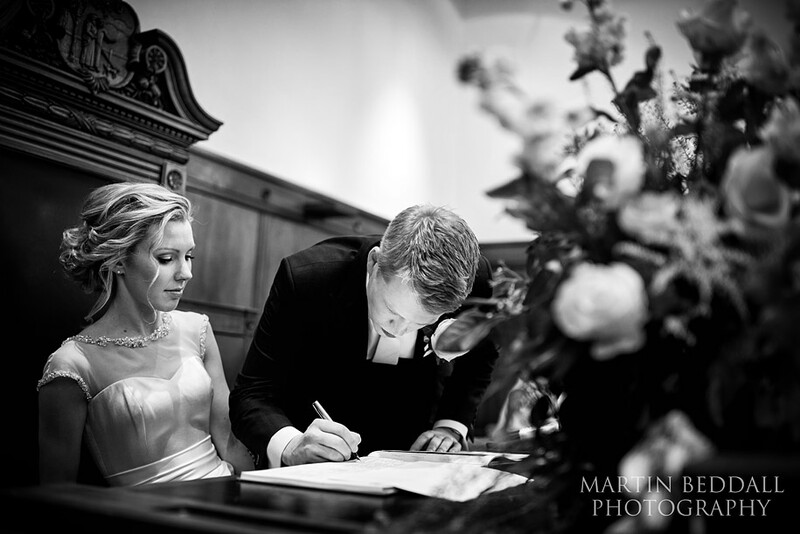 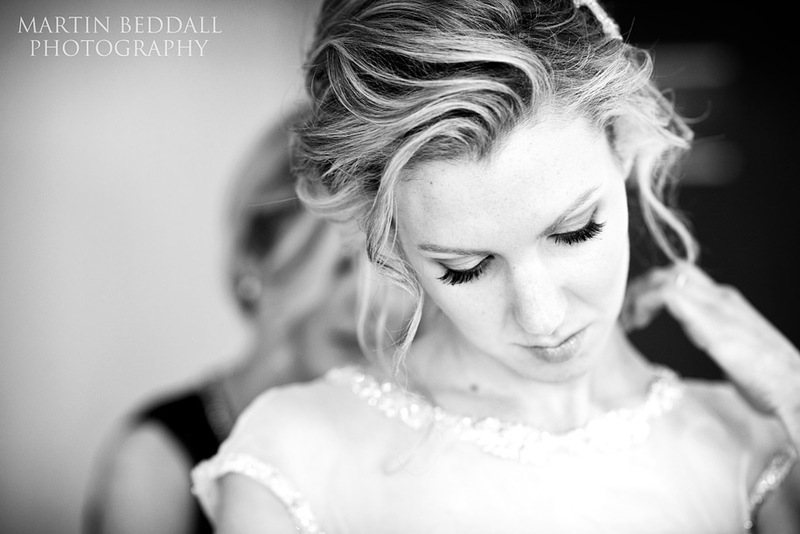 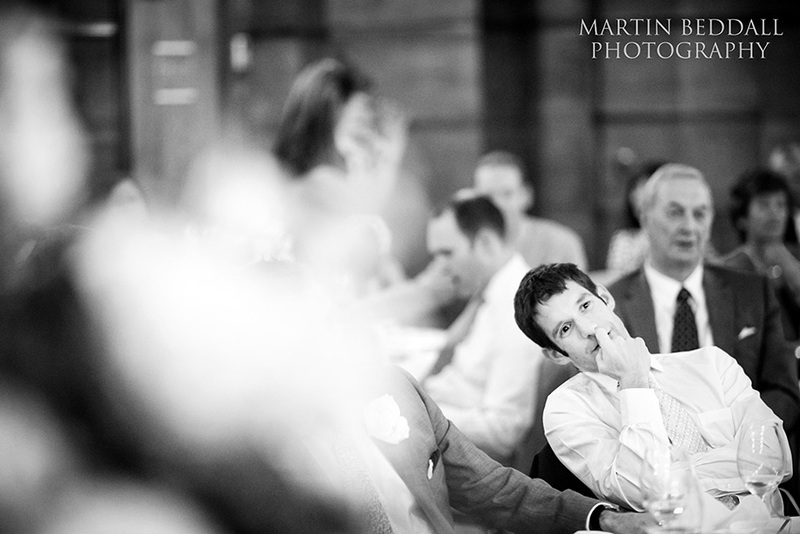 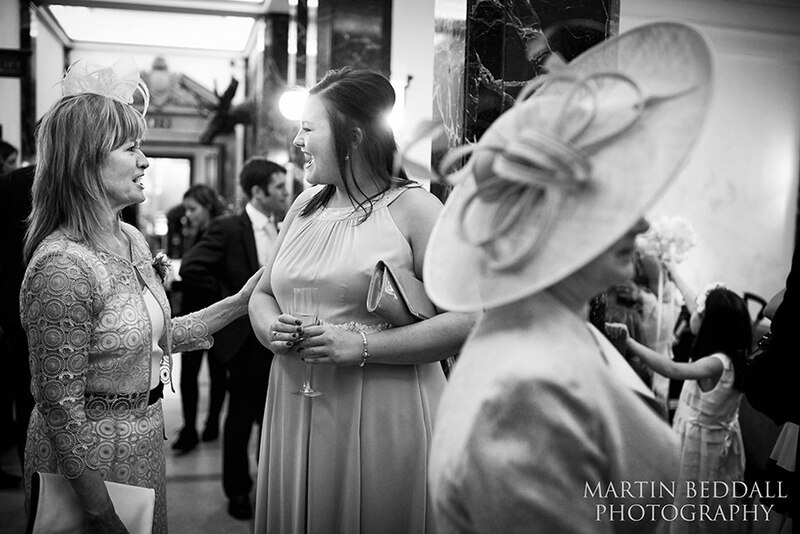 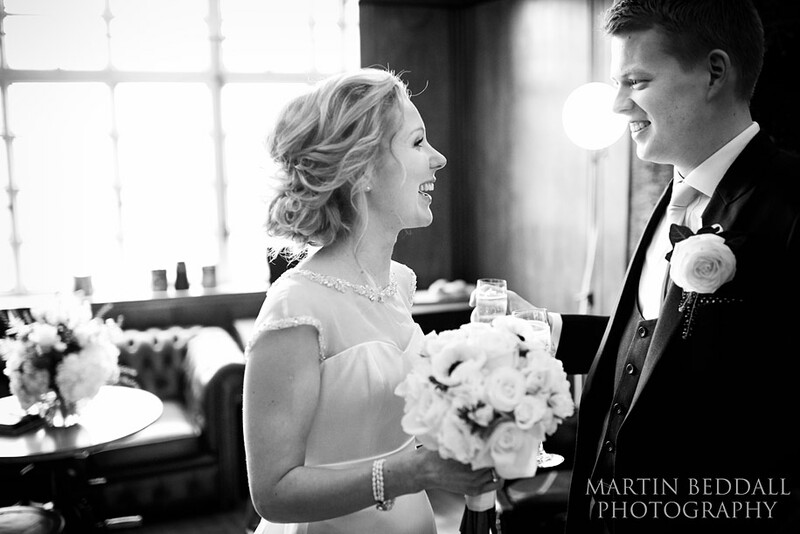 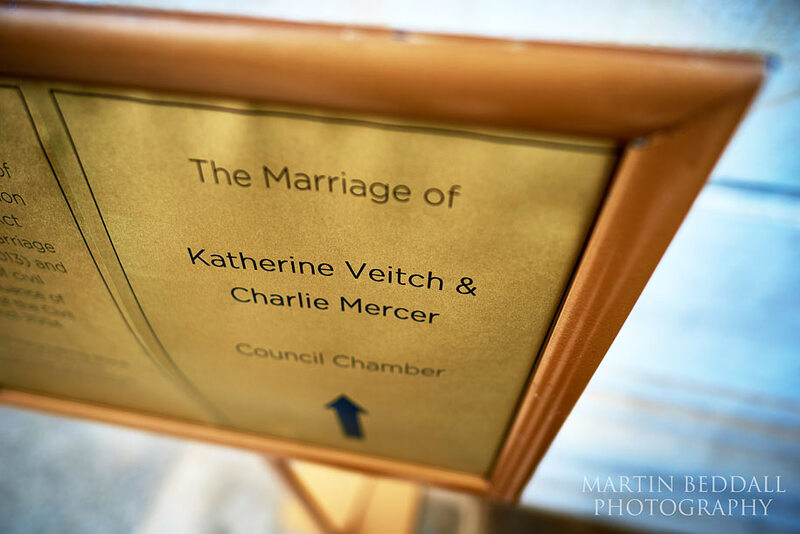 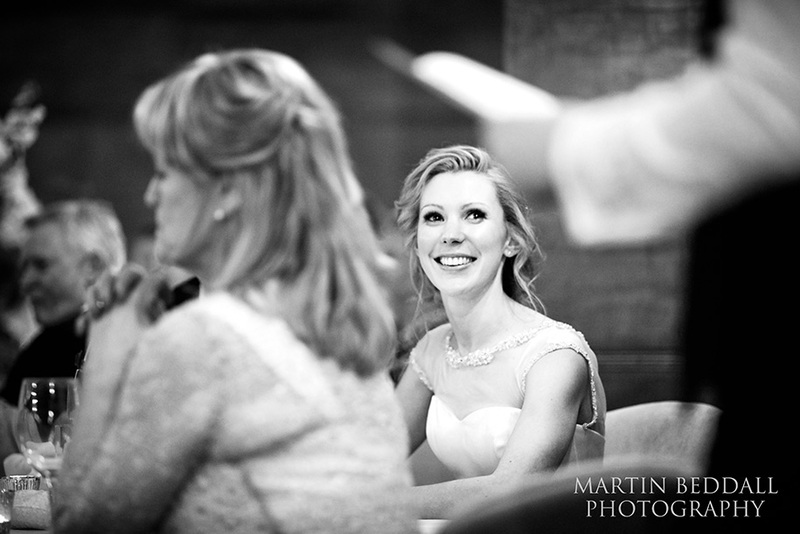 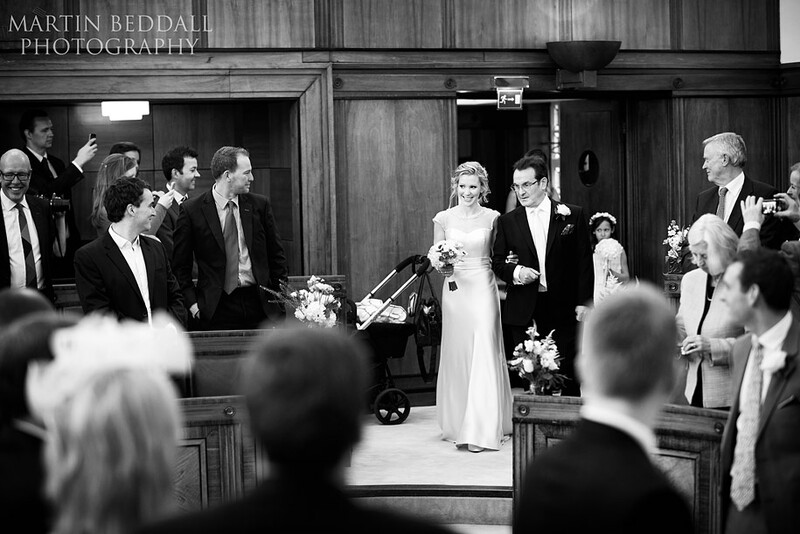 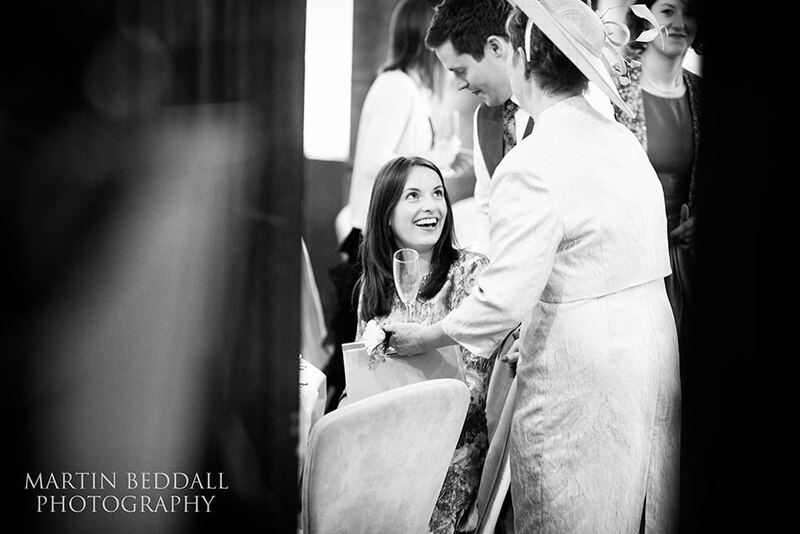 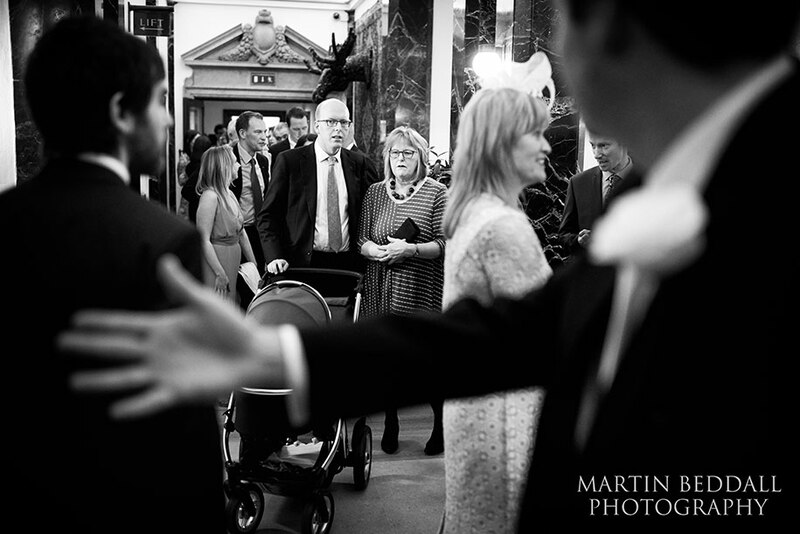 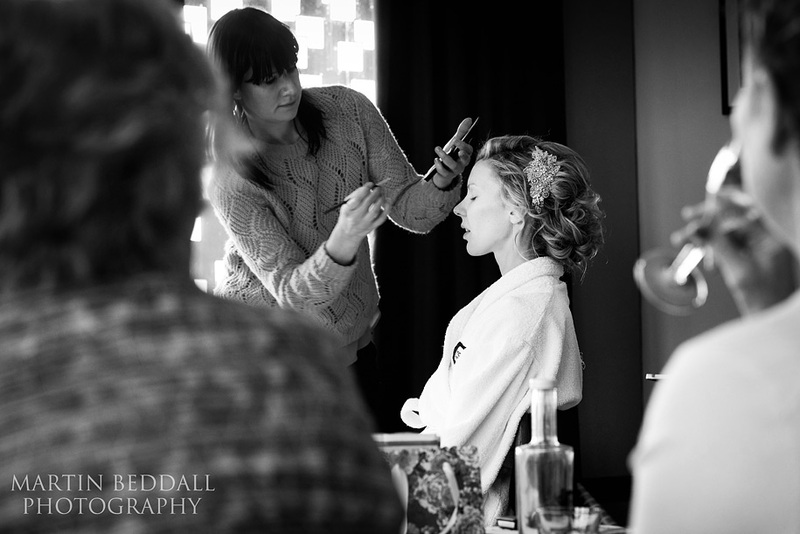 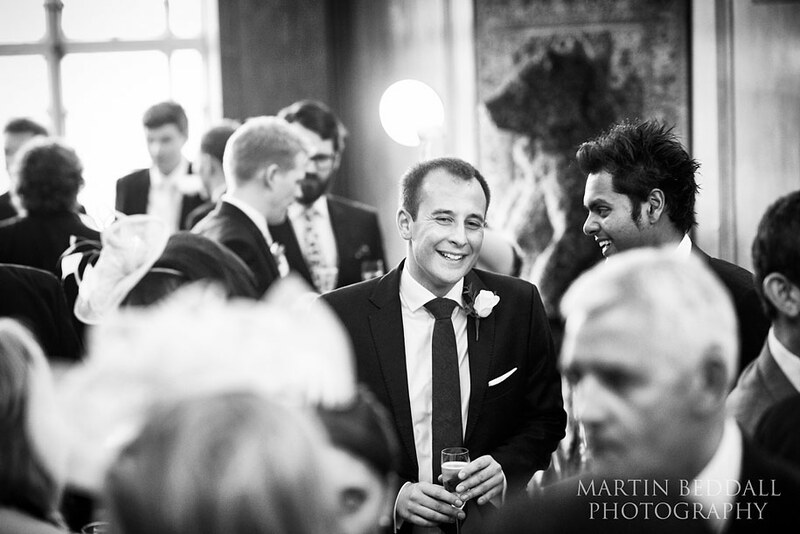 A lovely wedding, here are a few images from that day at Bethnal Green town hall….